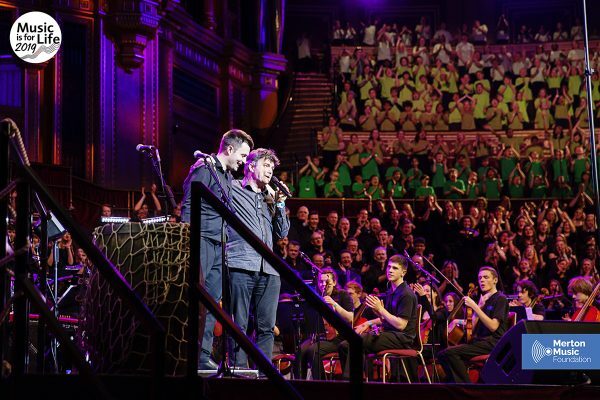 What a triumph! 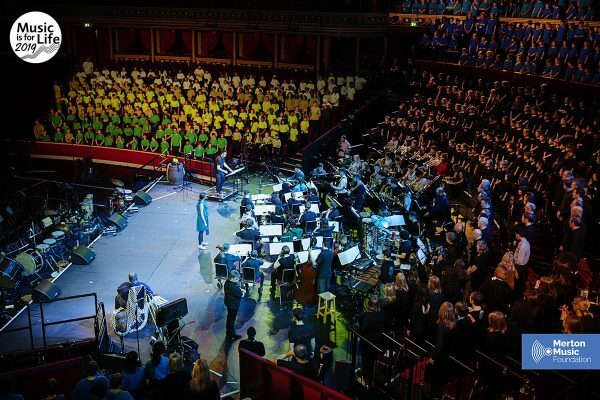 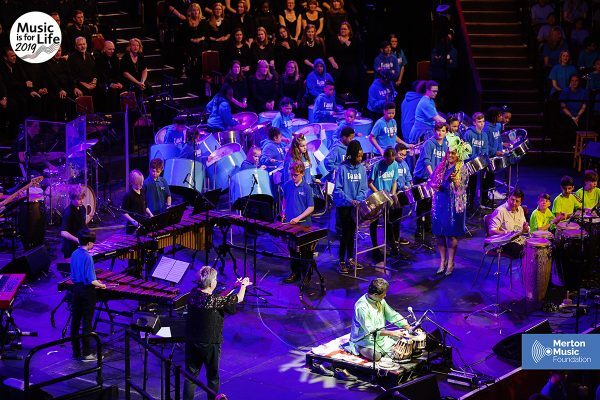 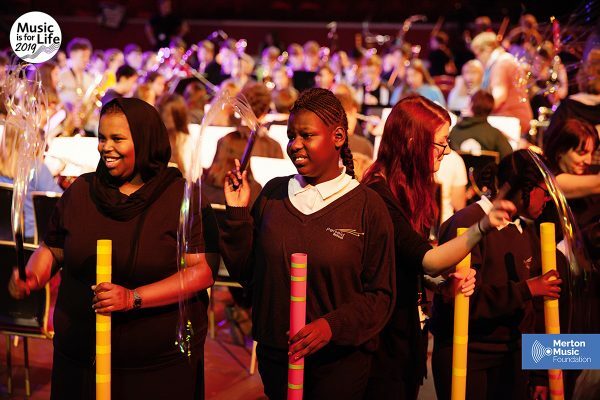 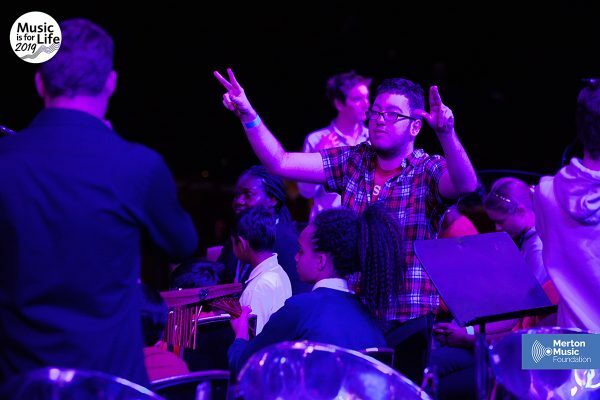 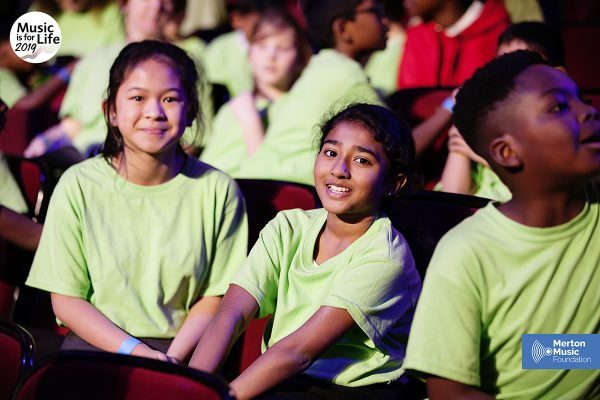 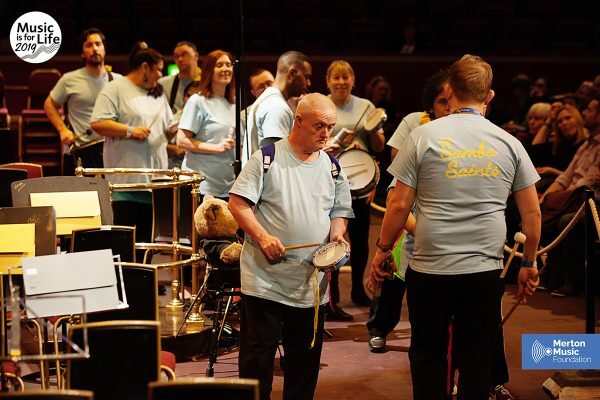 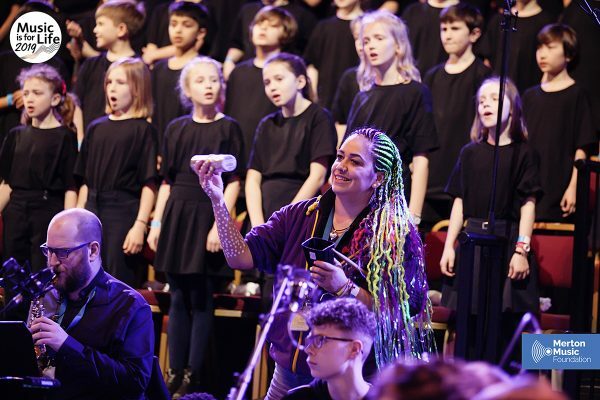 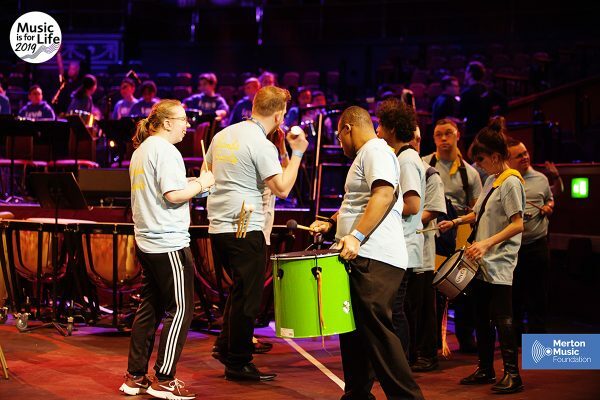 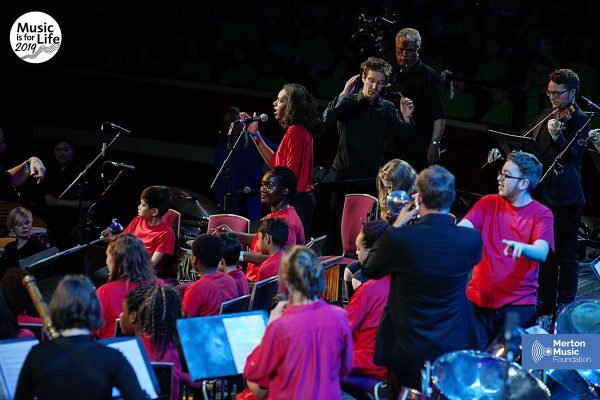 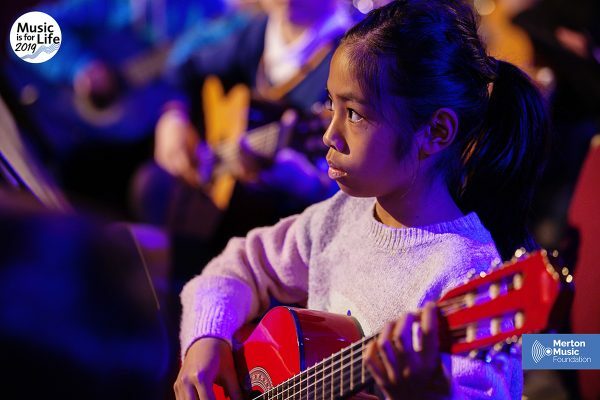 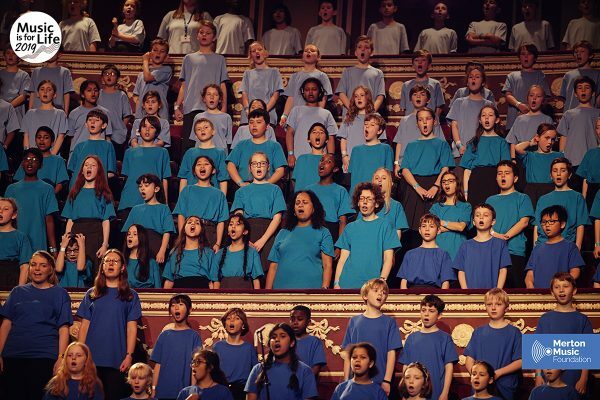 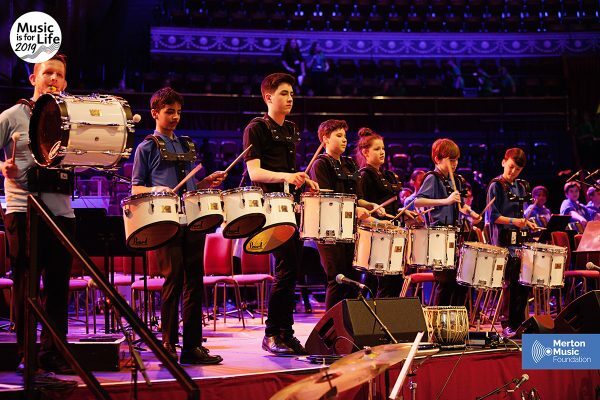 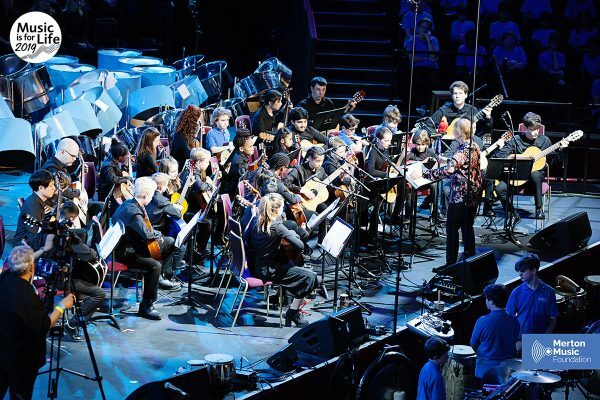 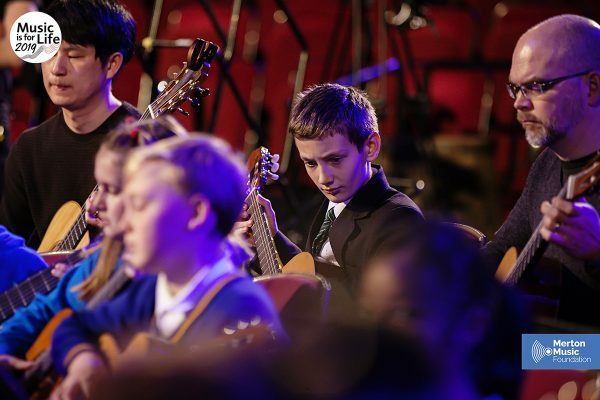 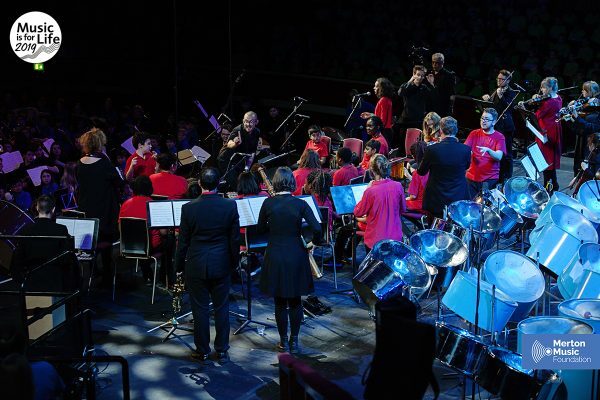 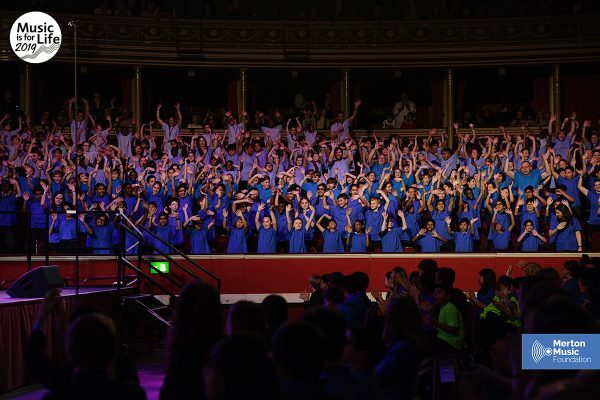 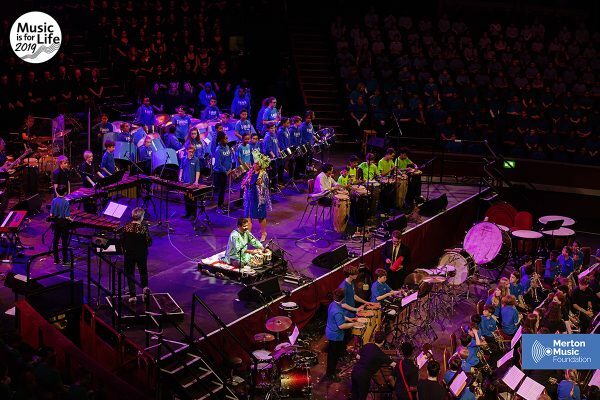 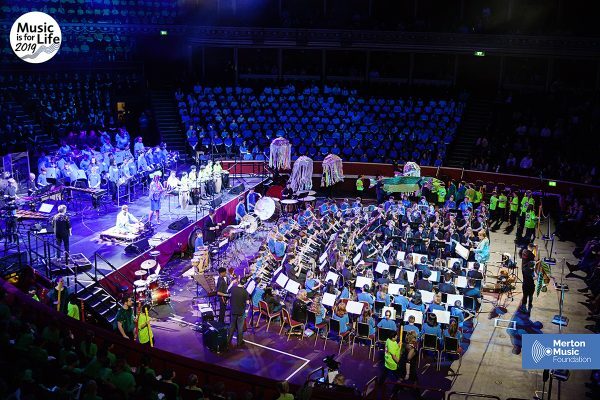 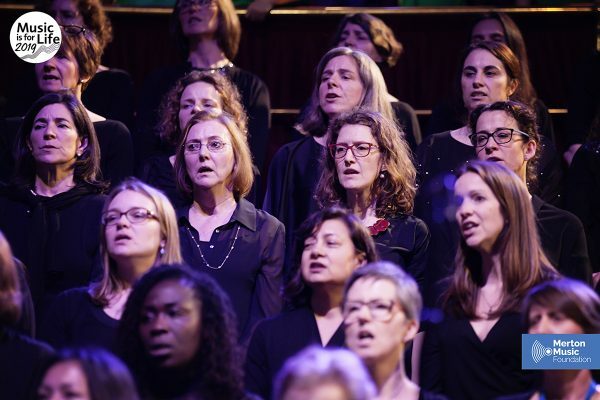 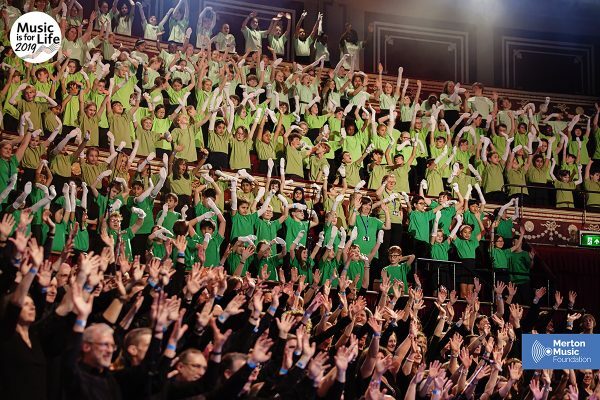 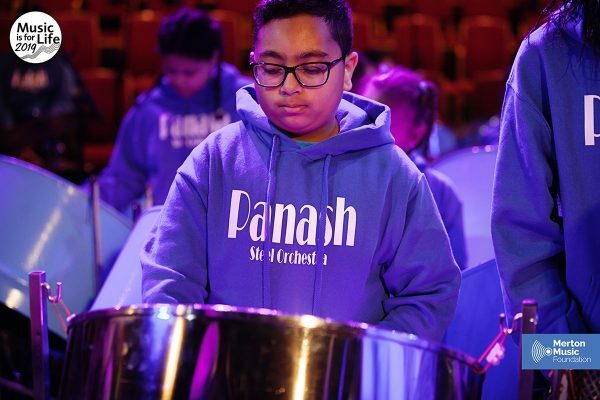 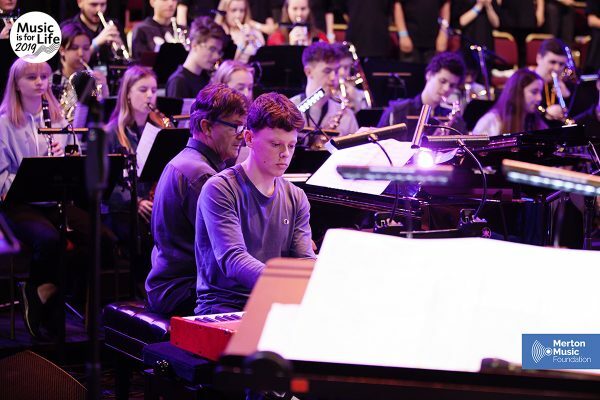 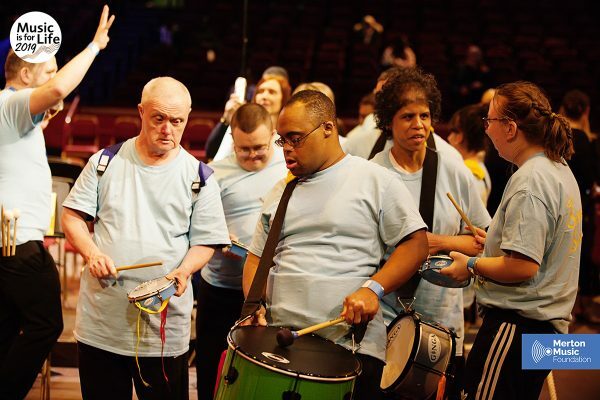 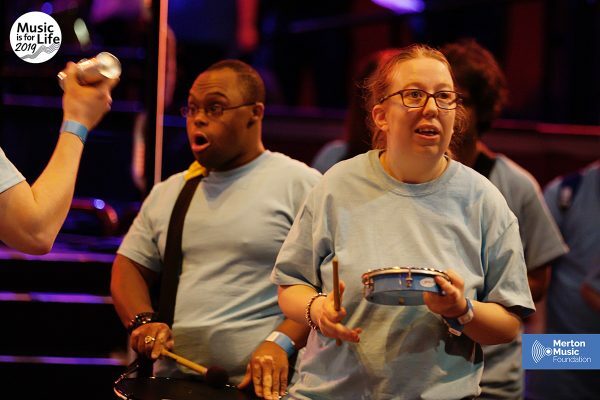 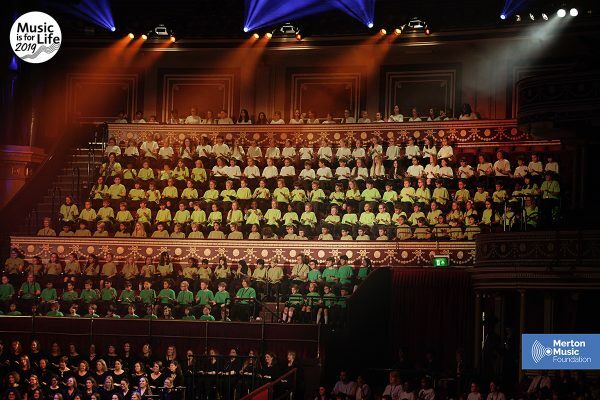 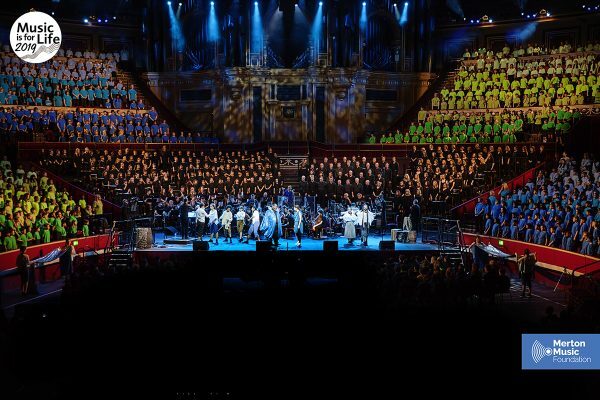 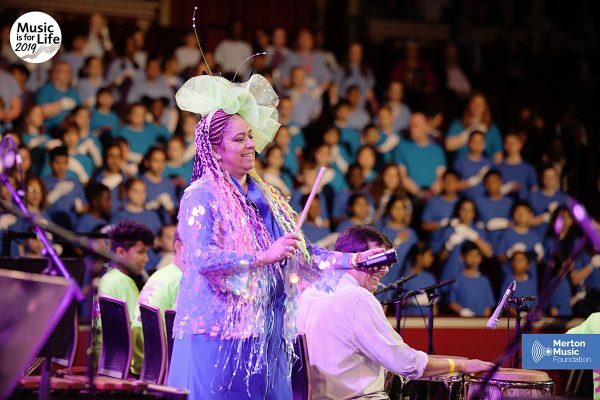 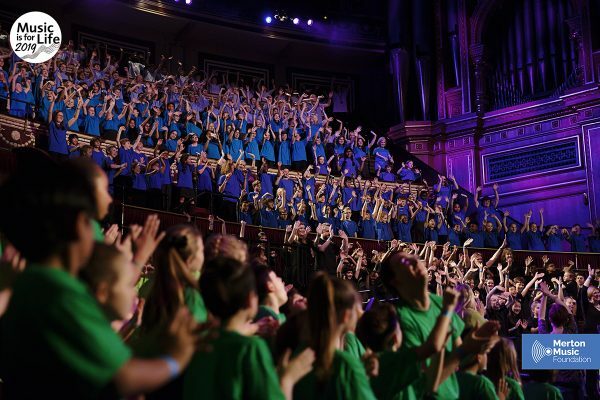 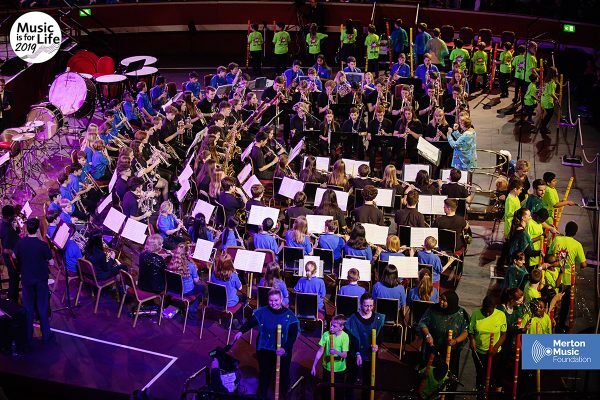 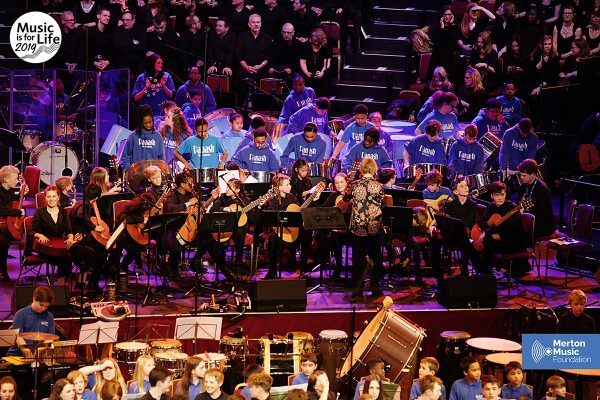 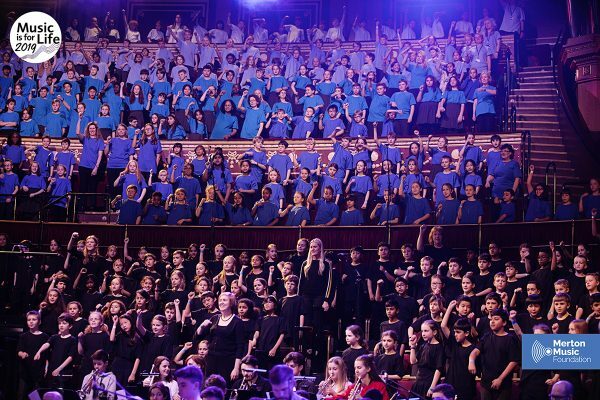 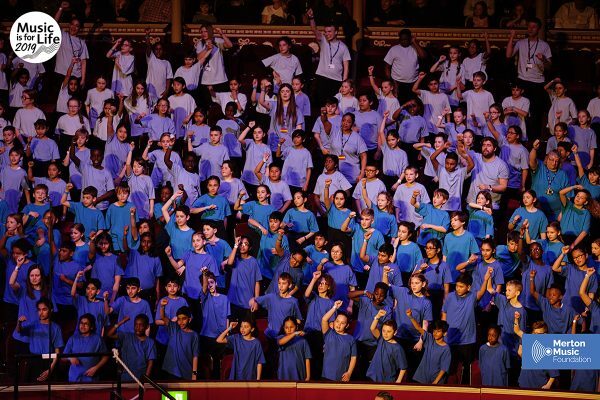 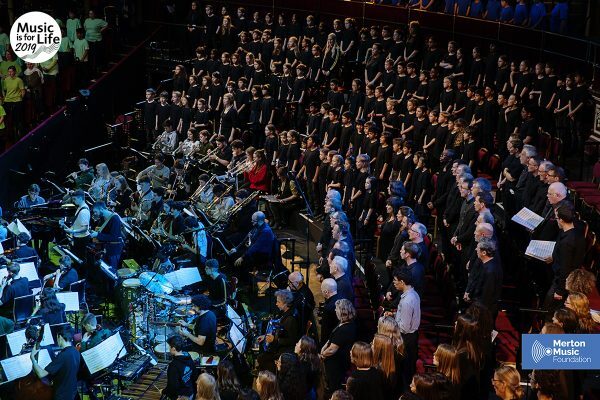 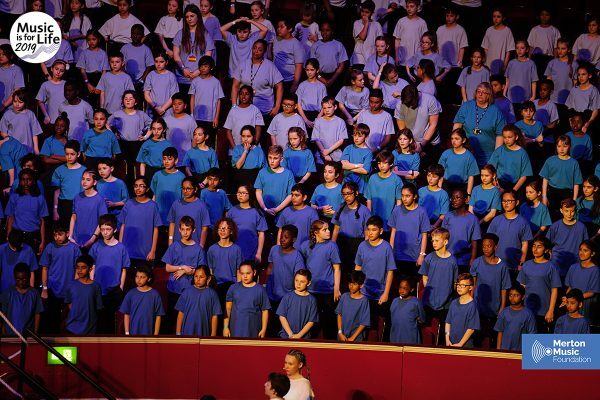 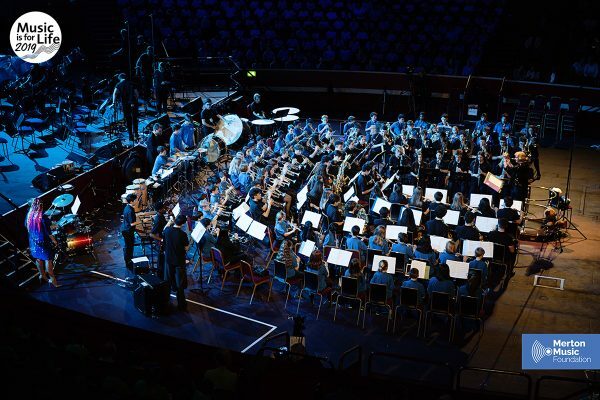 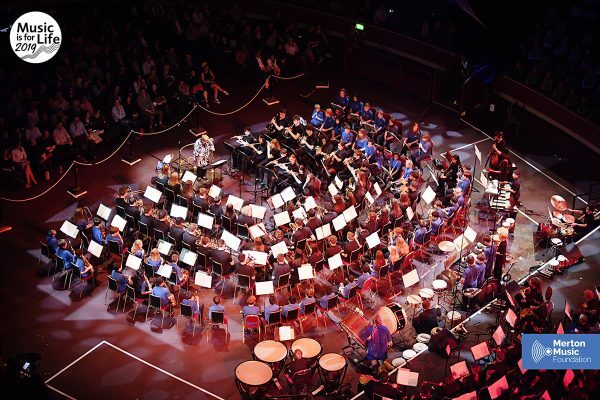 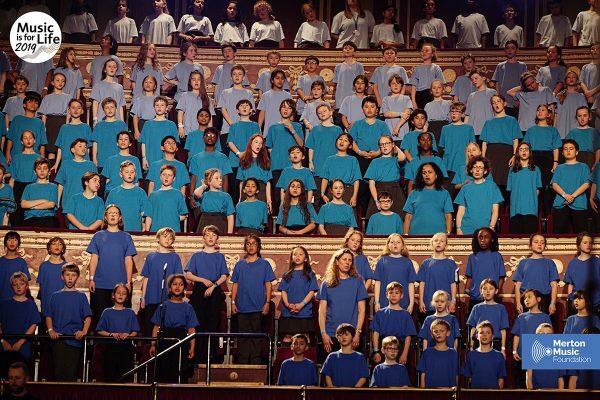 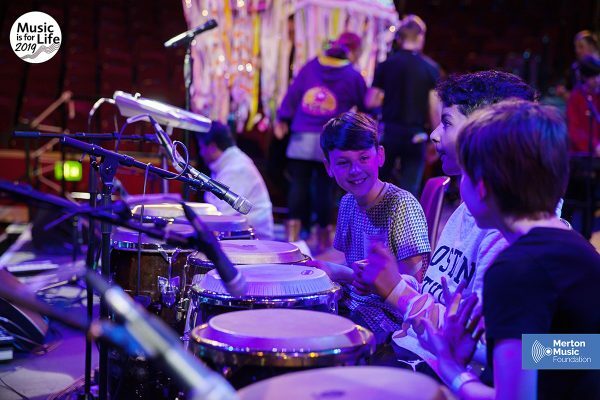 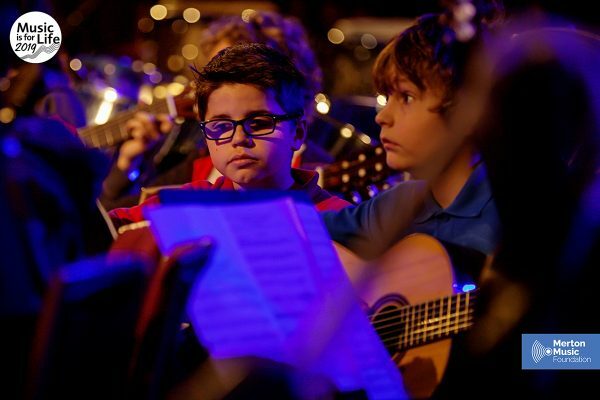 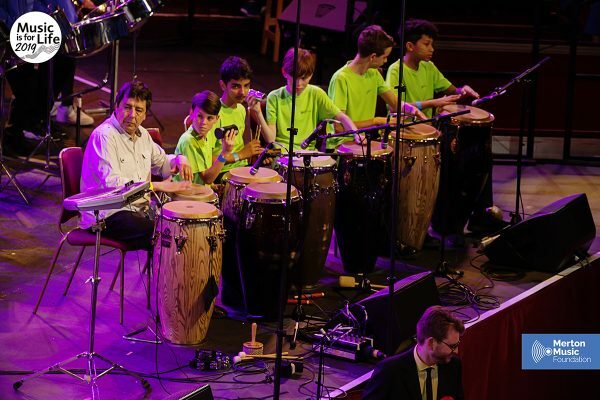 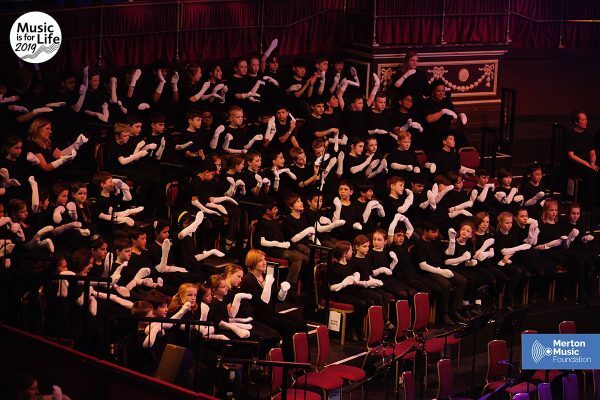 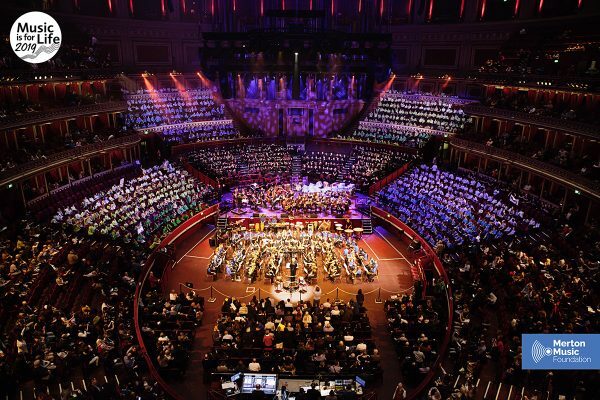 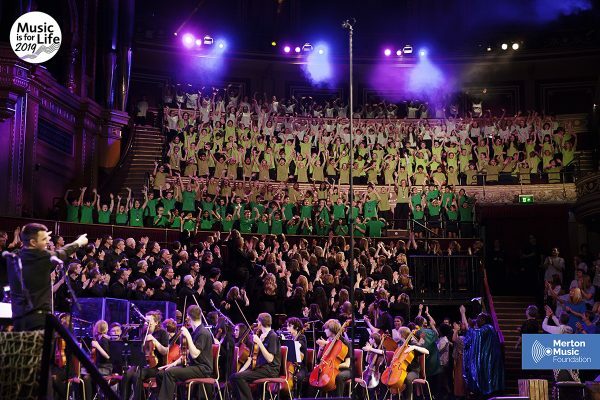 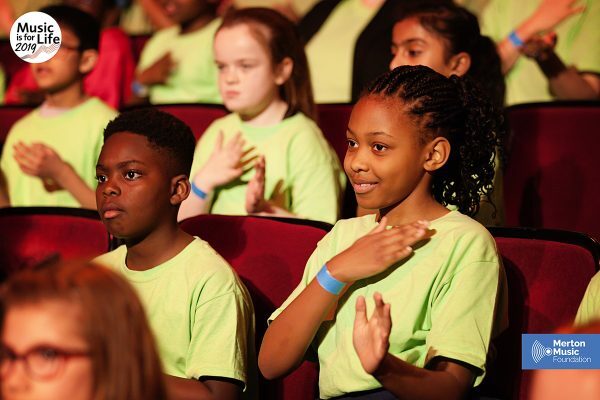 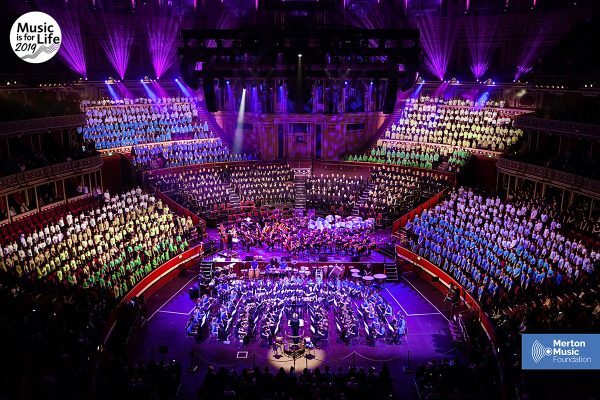 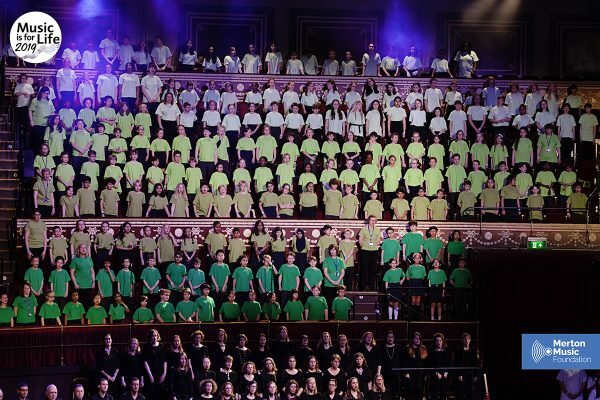 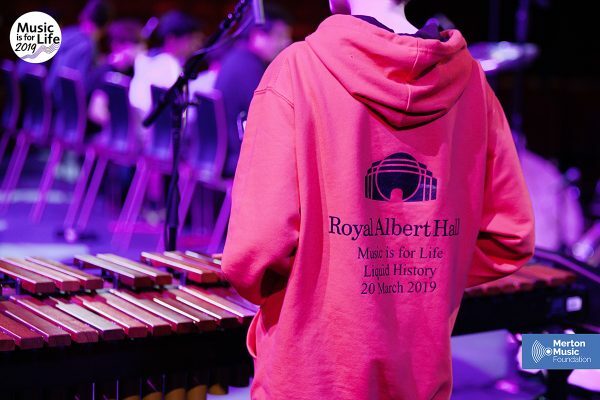 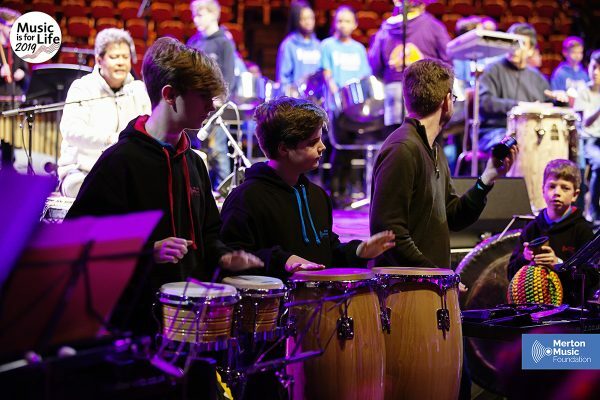 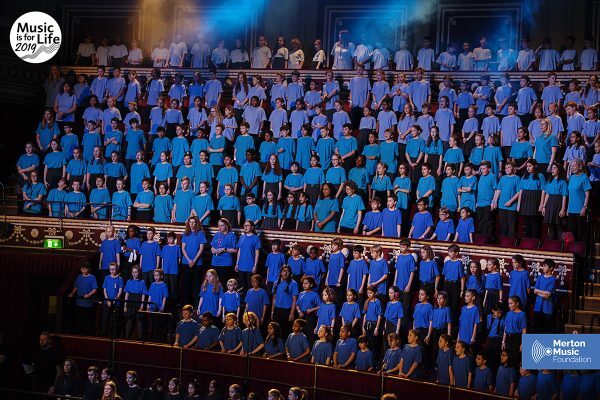 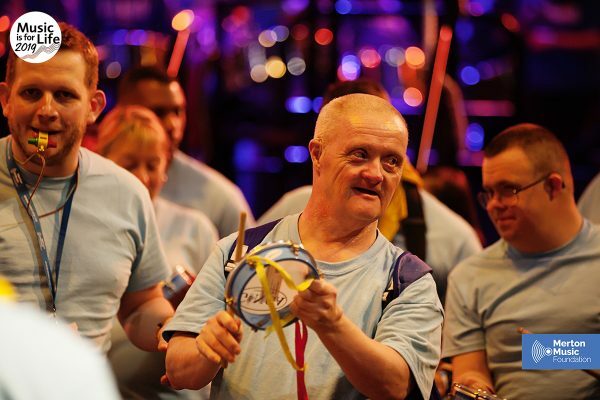 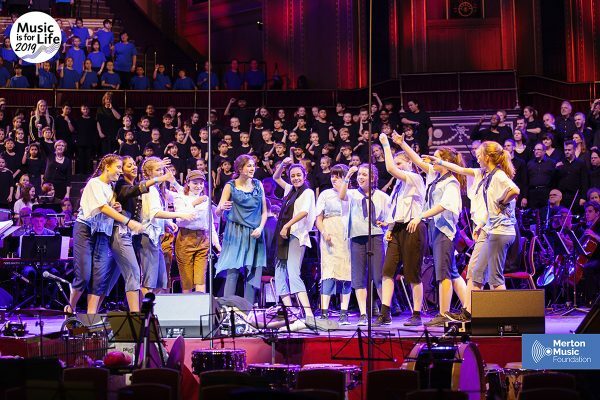 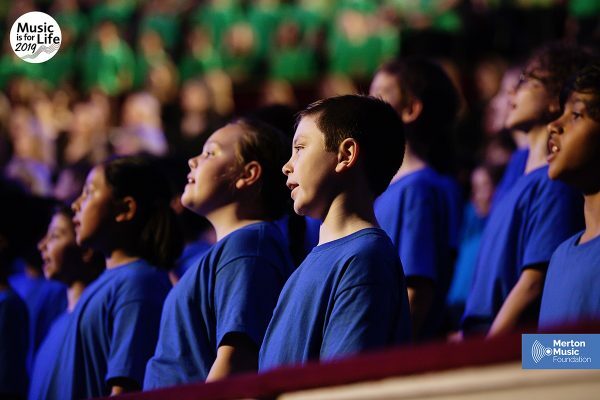 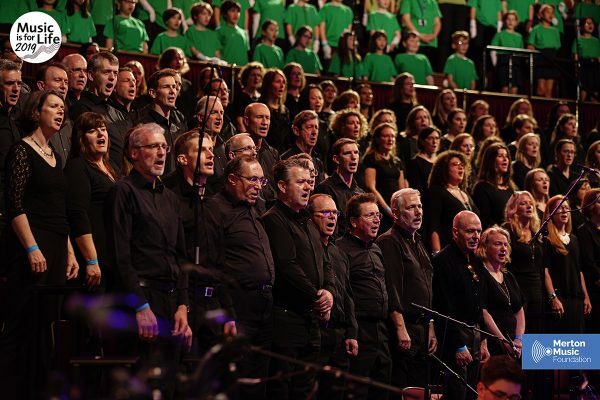 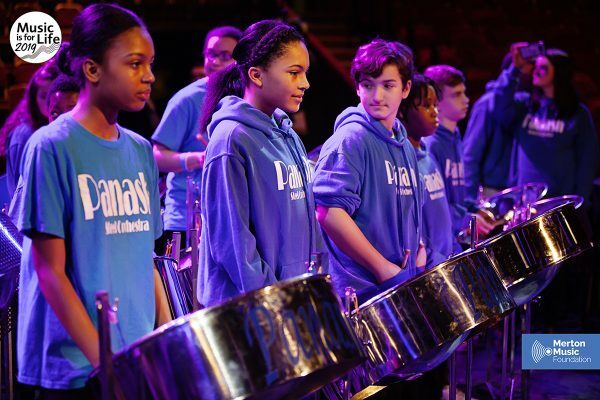 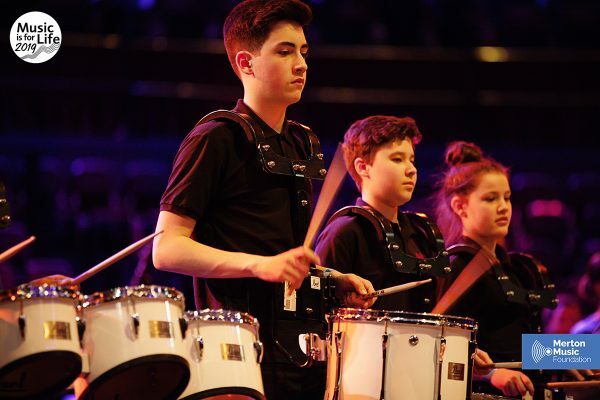 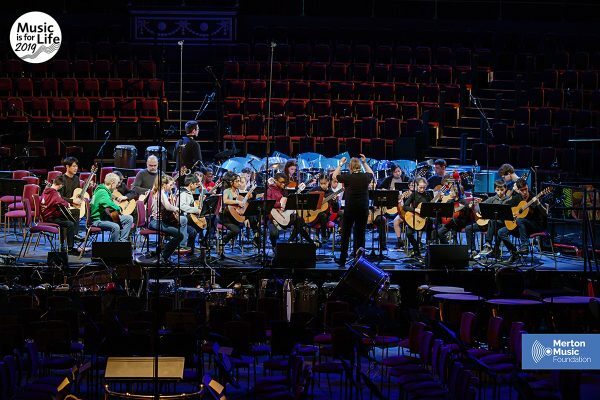 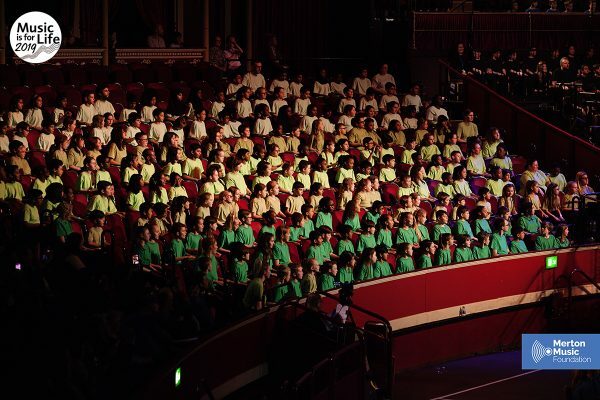 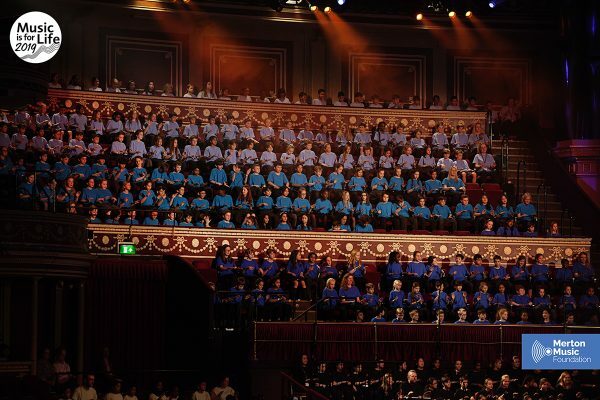 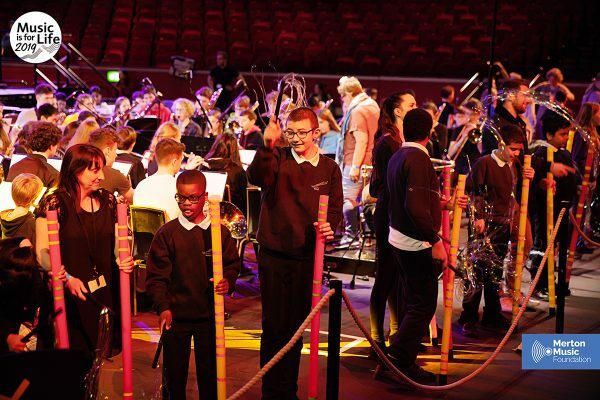 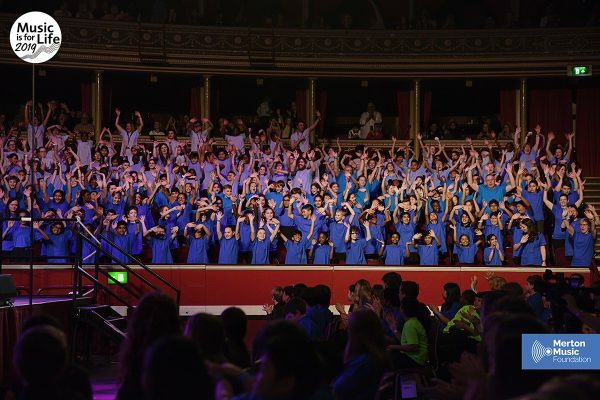 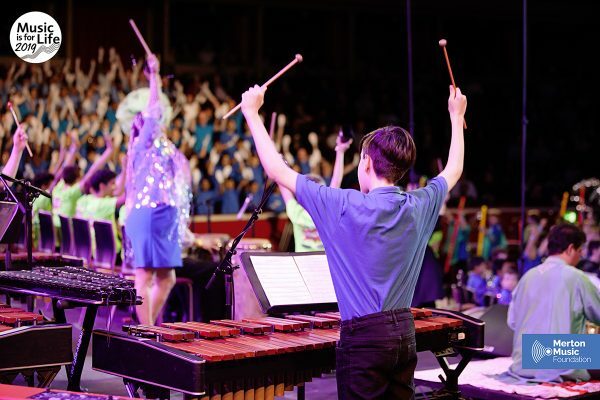 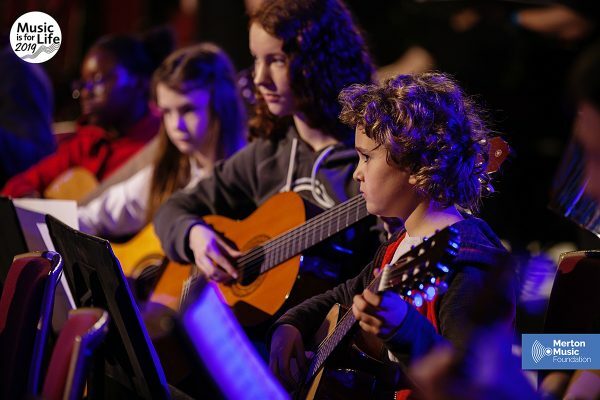 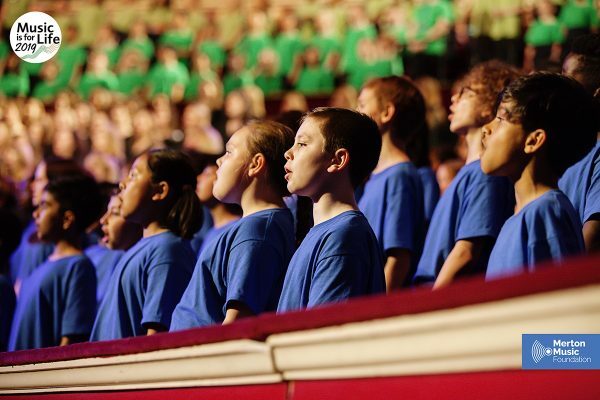 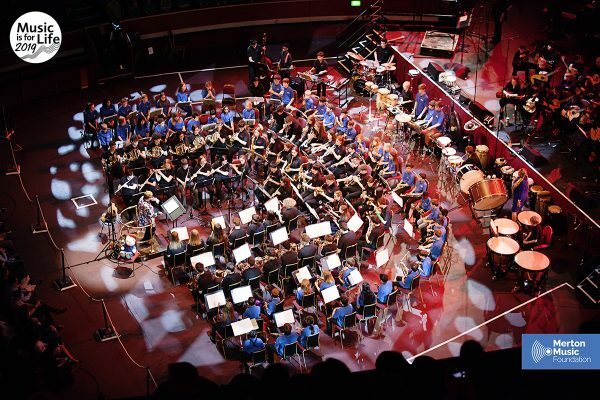 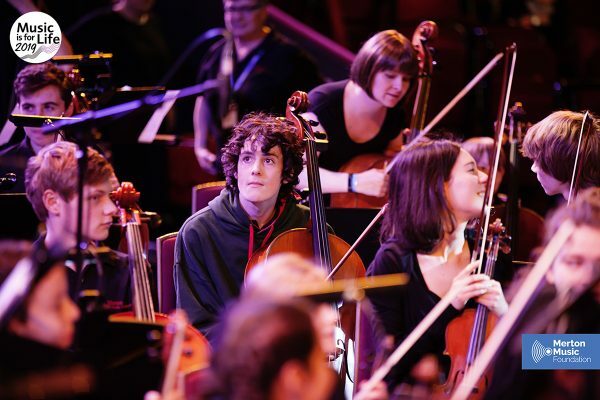 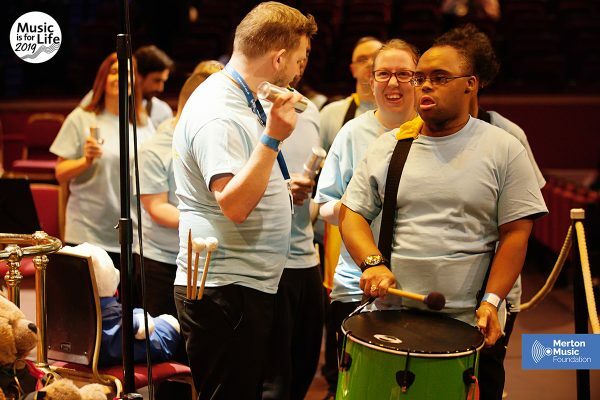 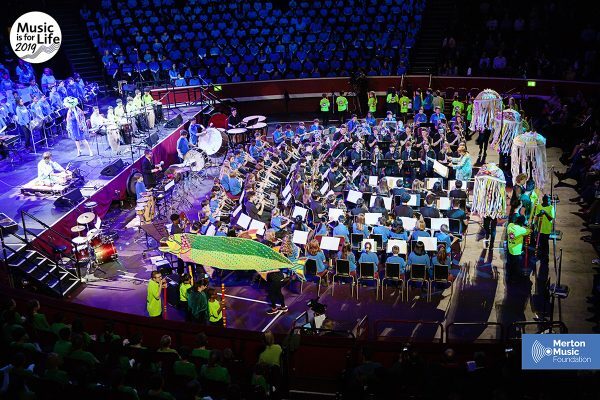 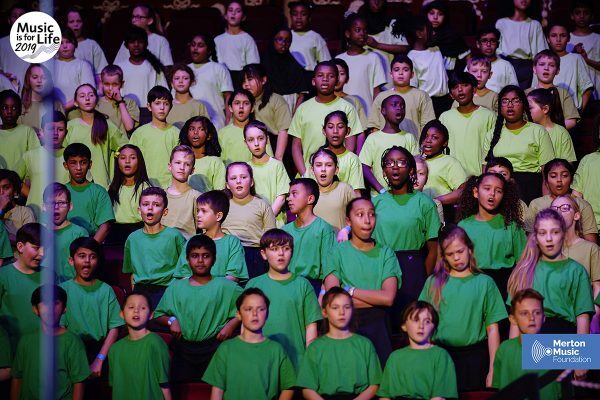 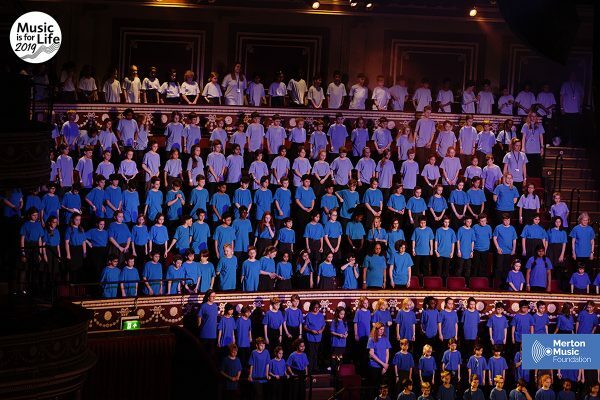 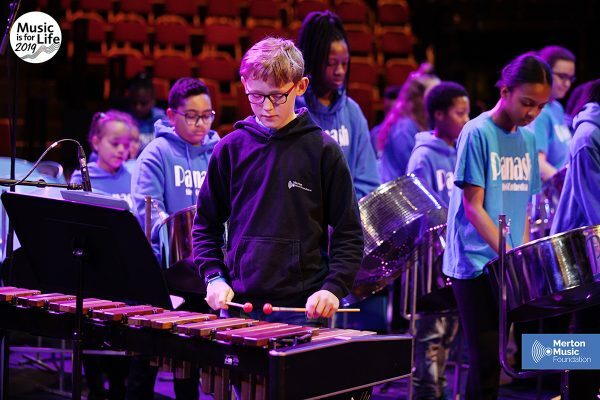 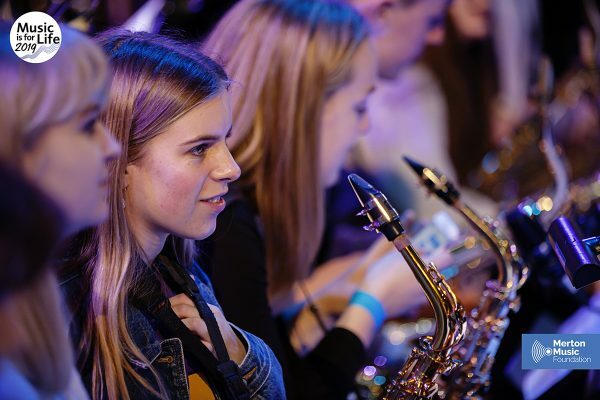 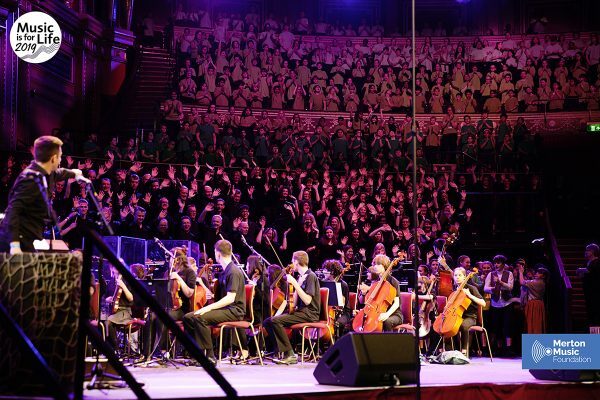 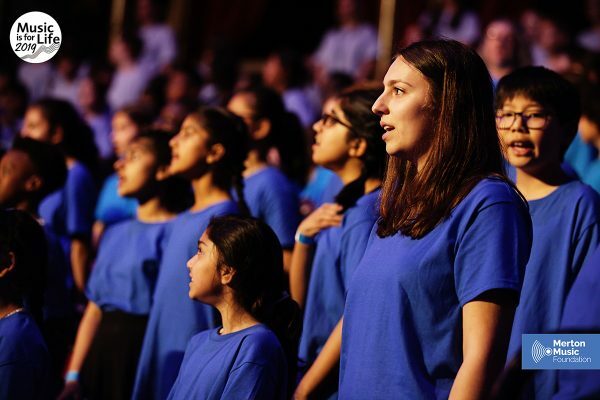 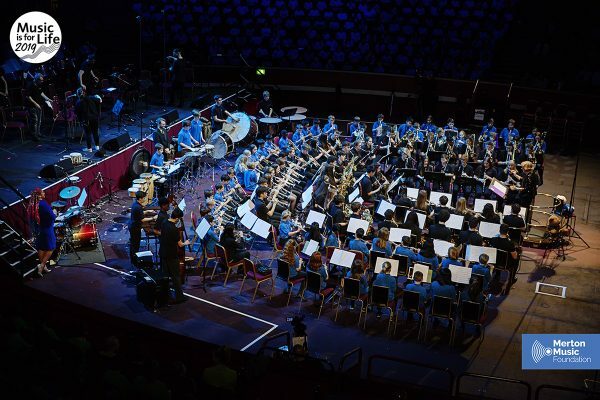 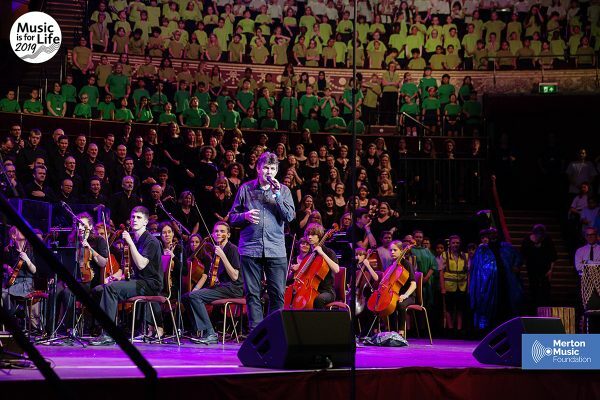 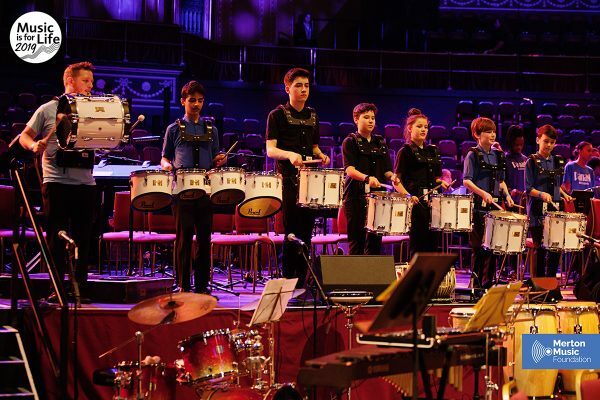 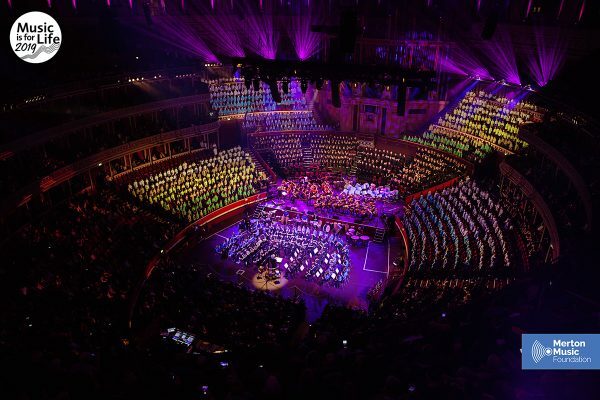 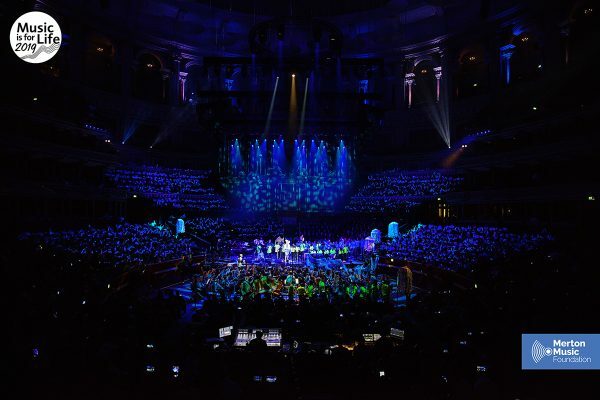 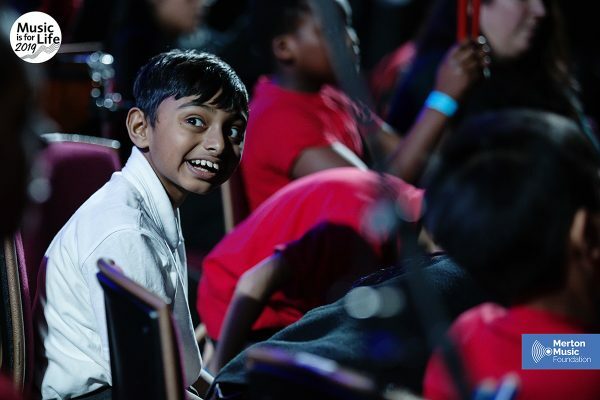 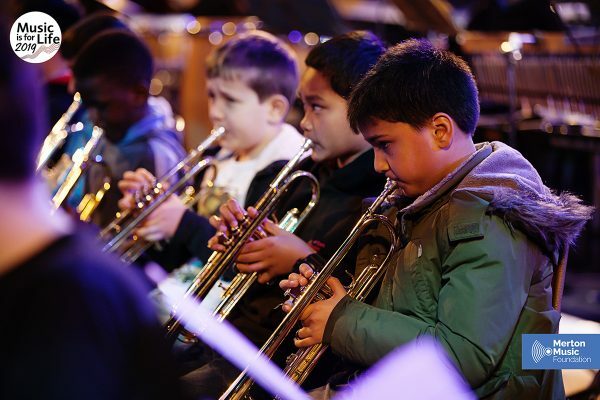 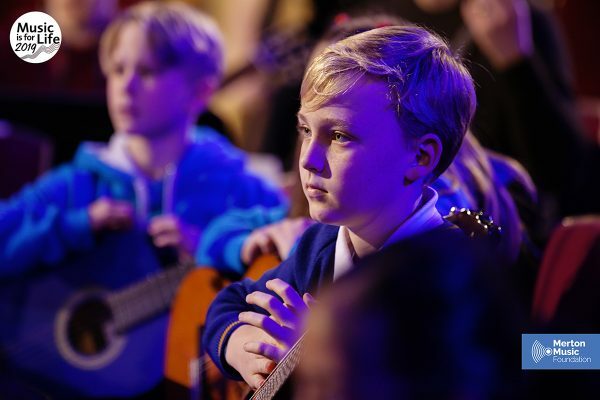 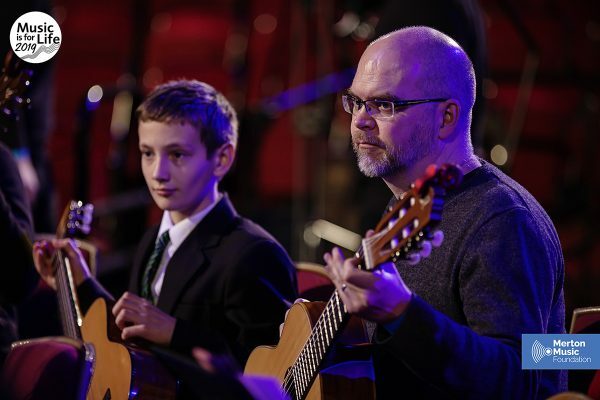 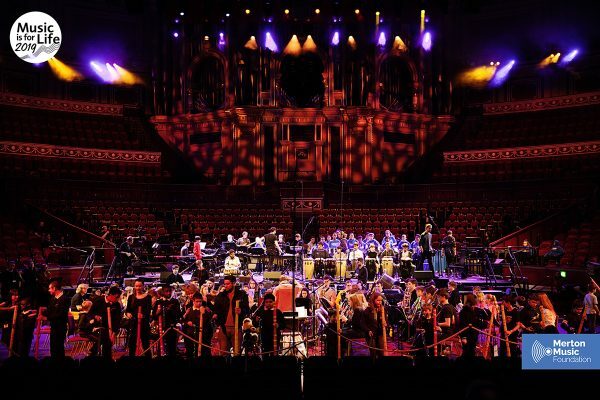 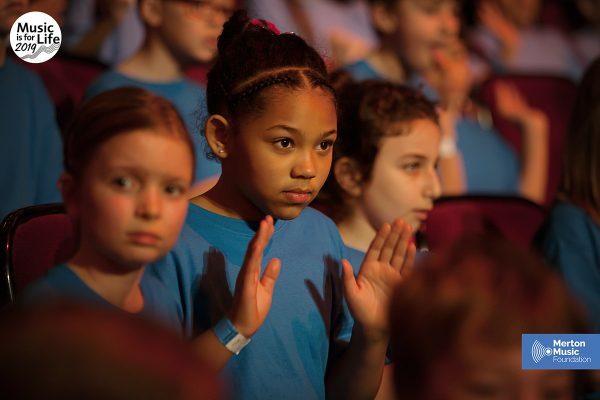 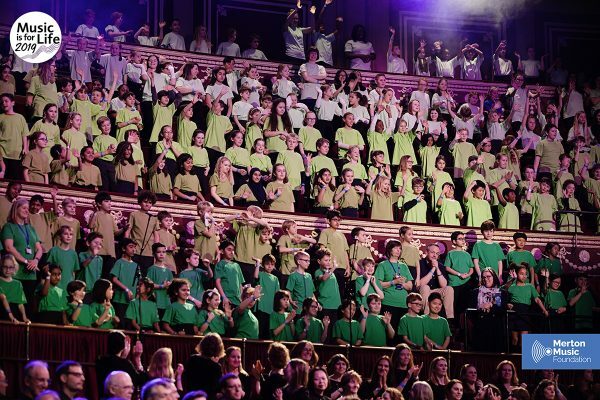 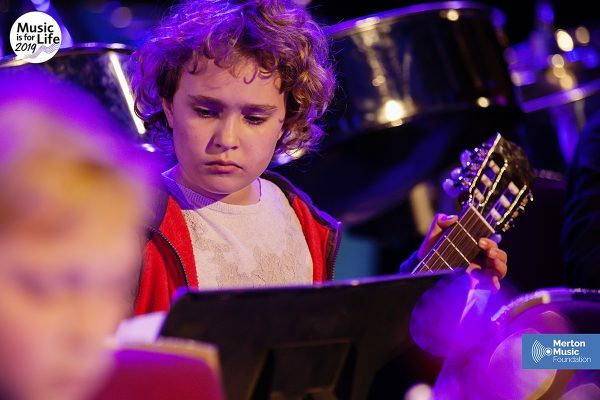 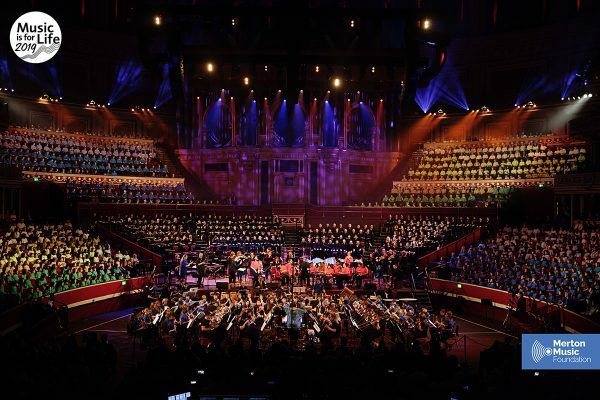 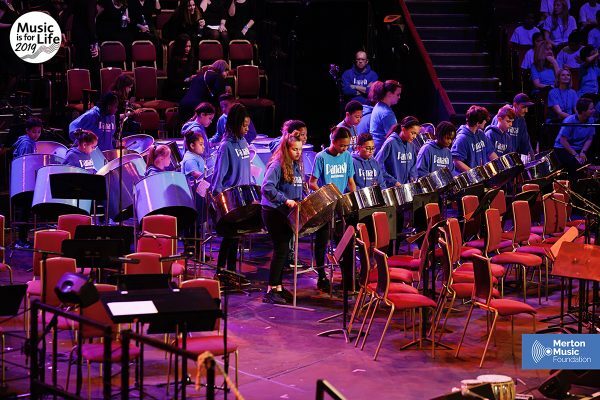 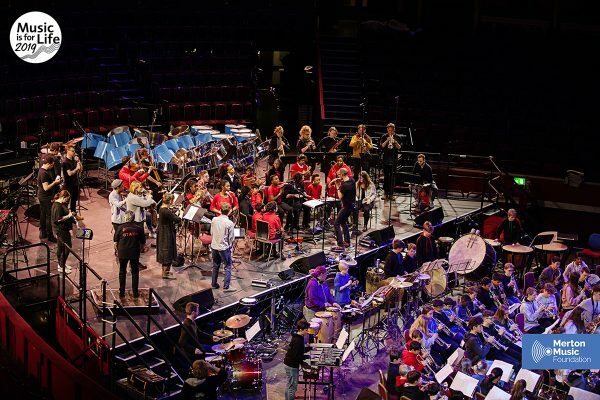 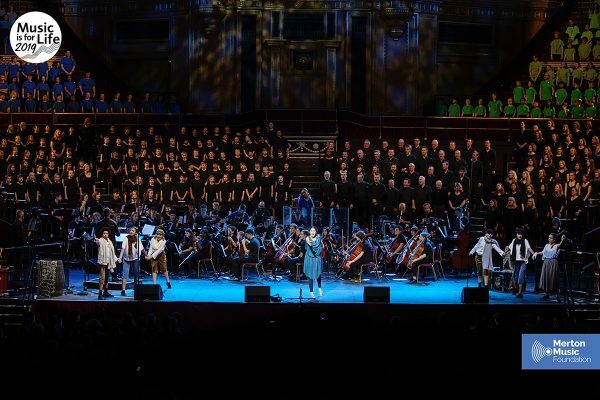 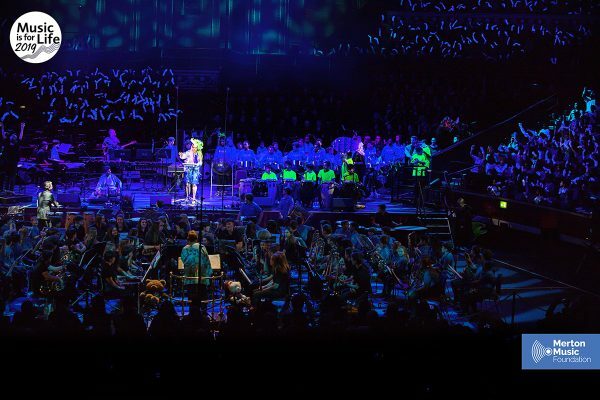 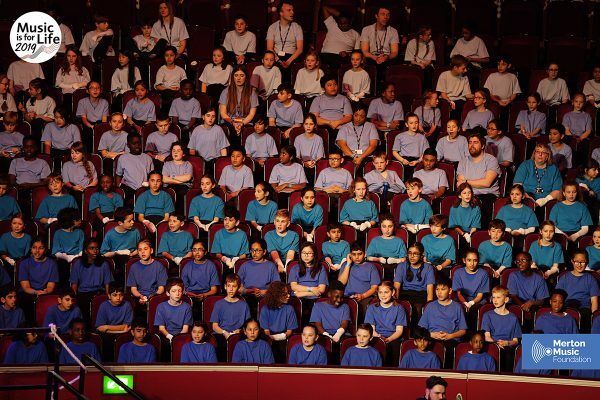 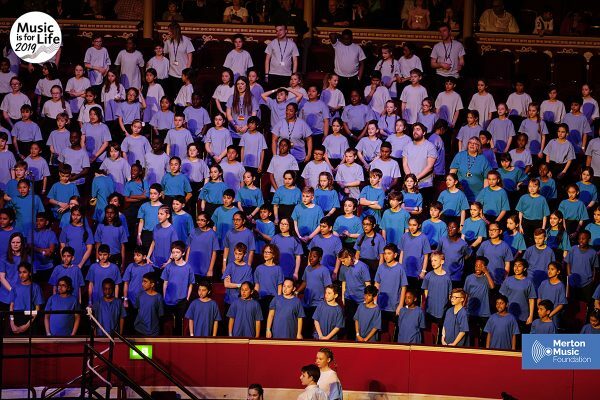 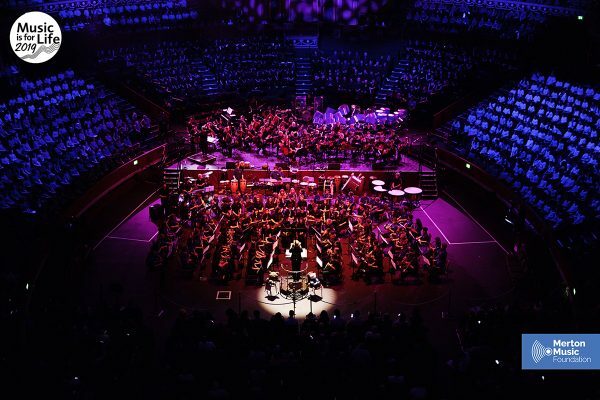 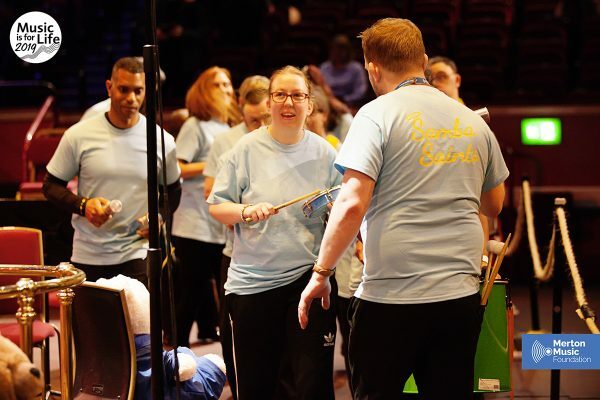 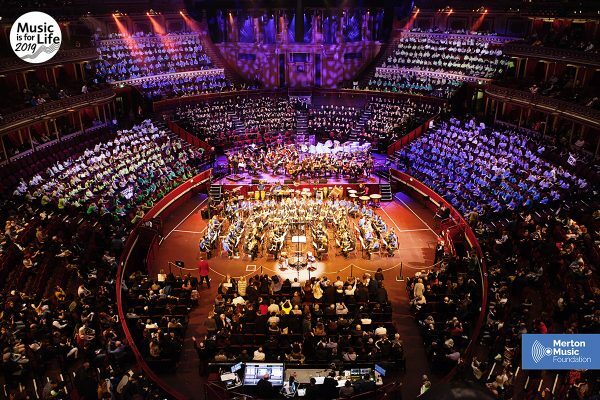 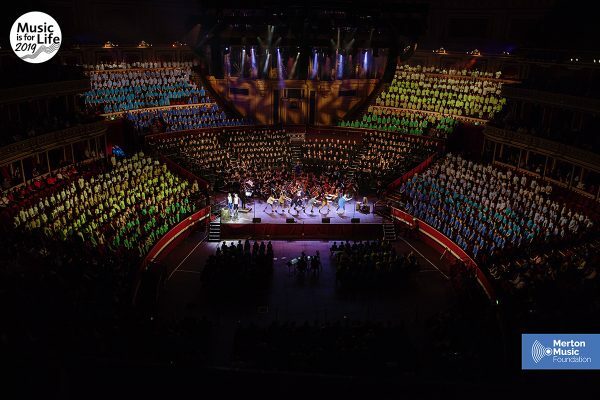 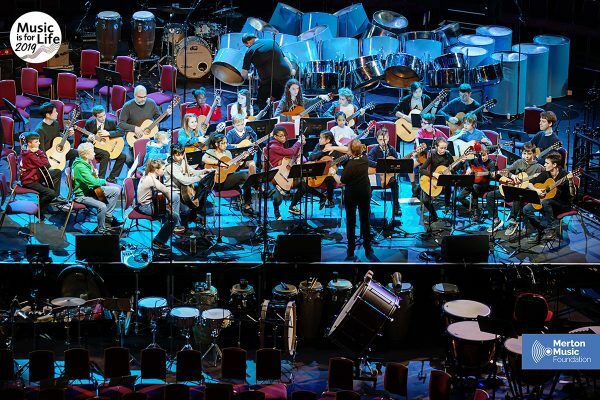 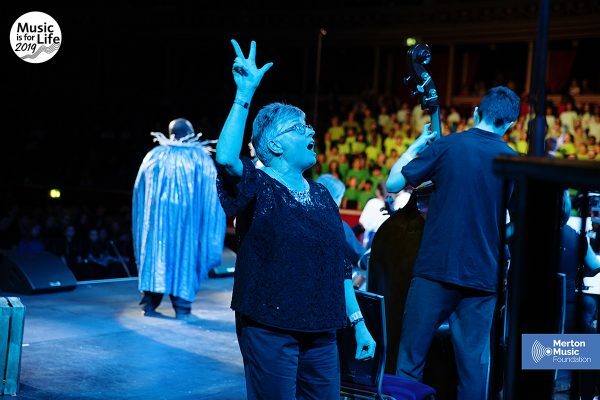 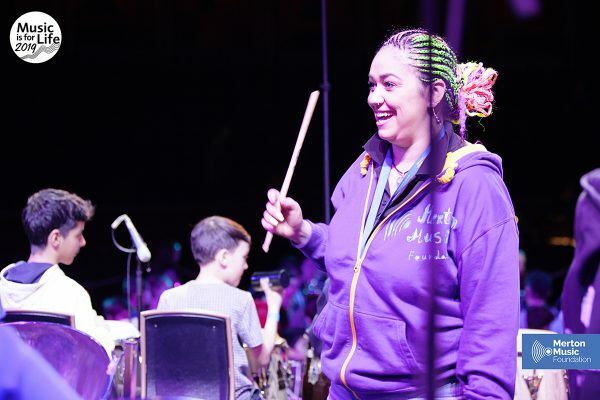 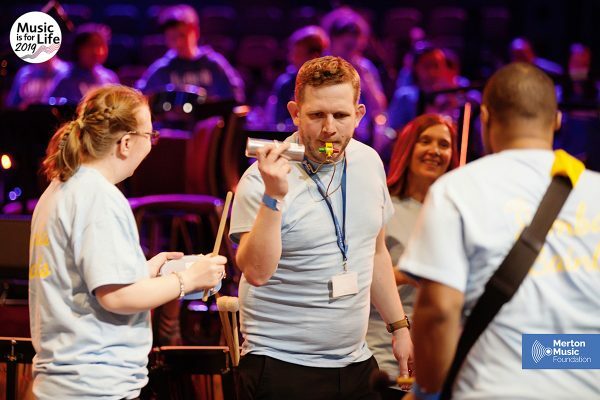 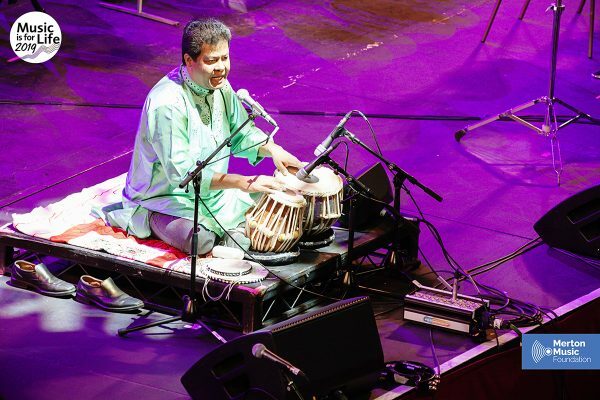 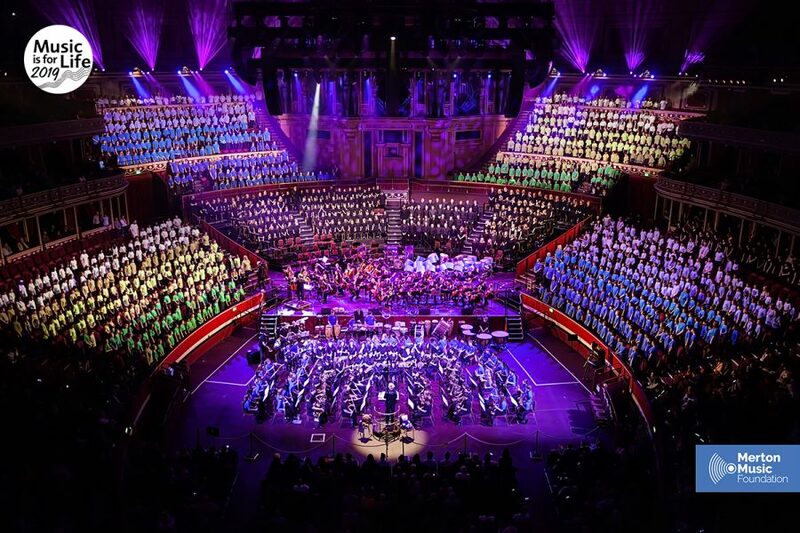 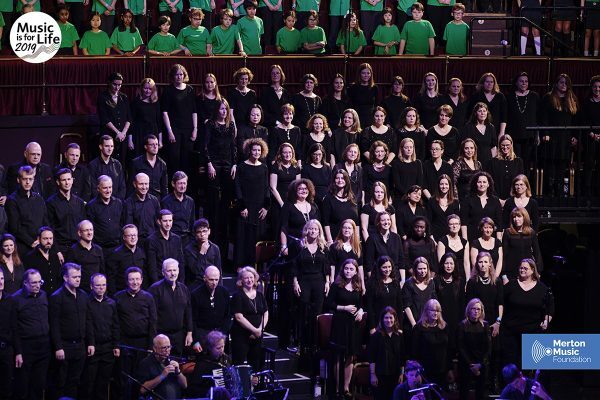 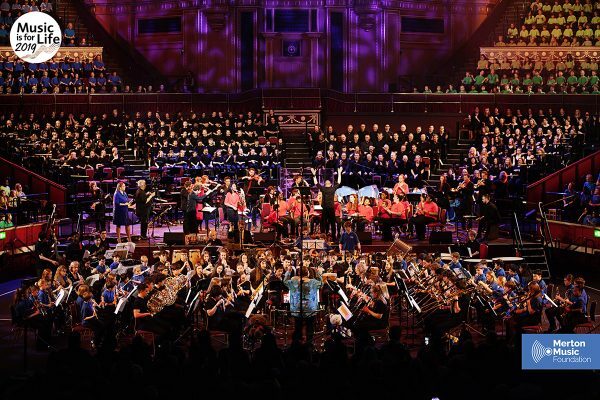 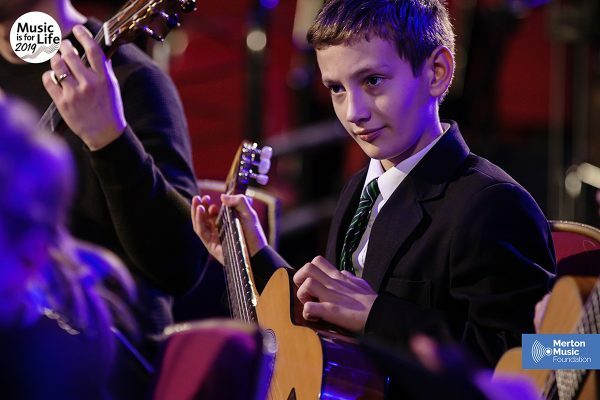 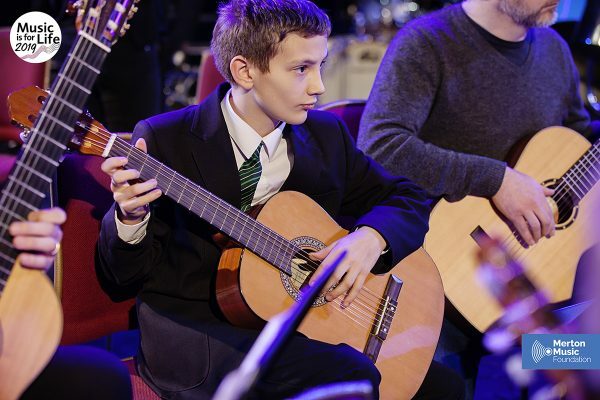 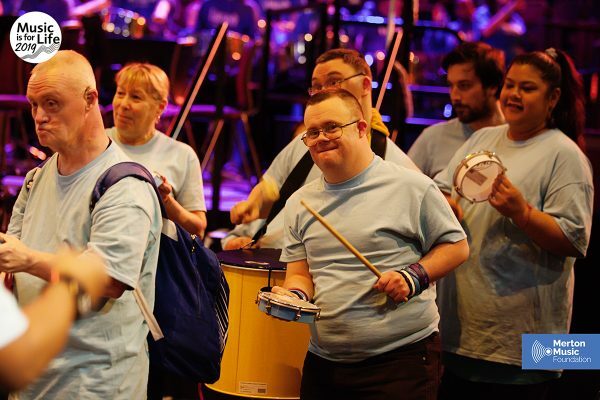 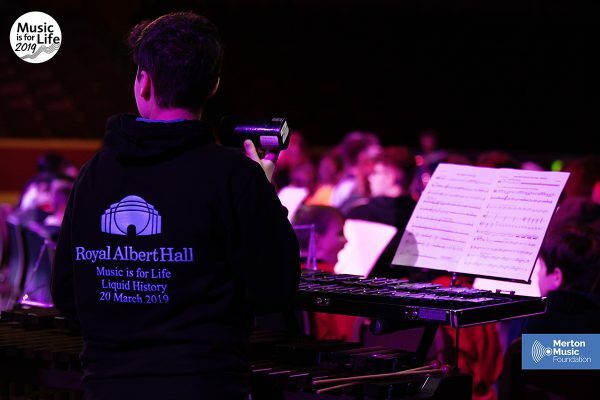 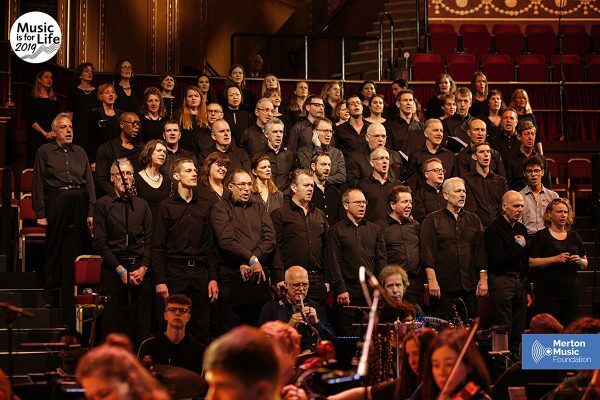 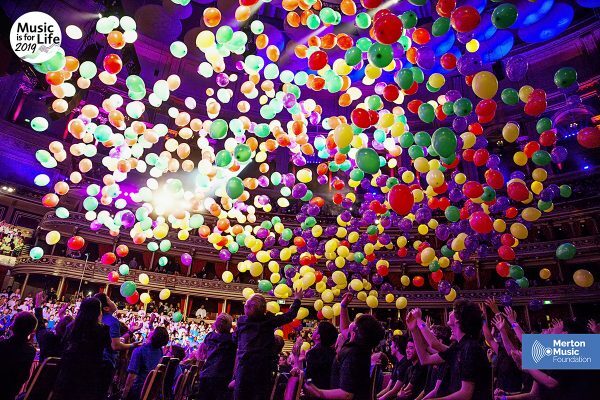 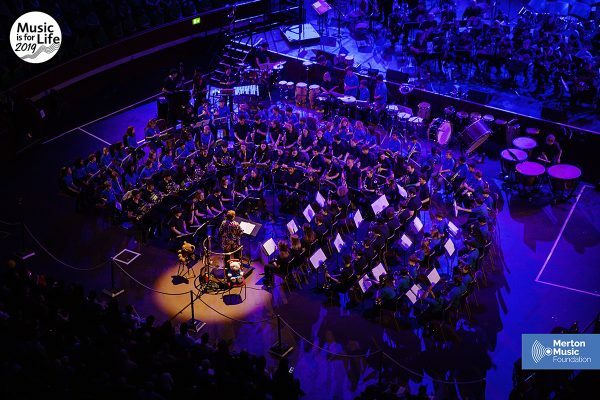 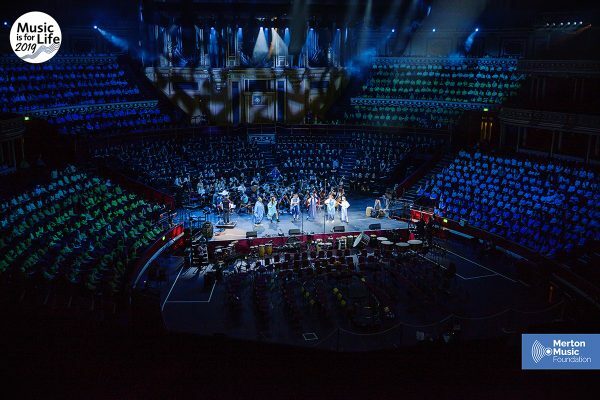 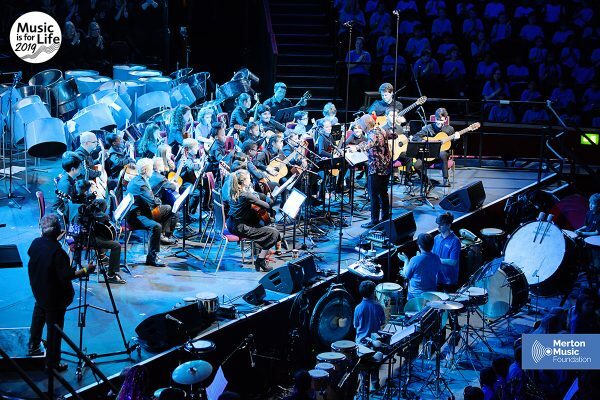 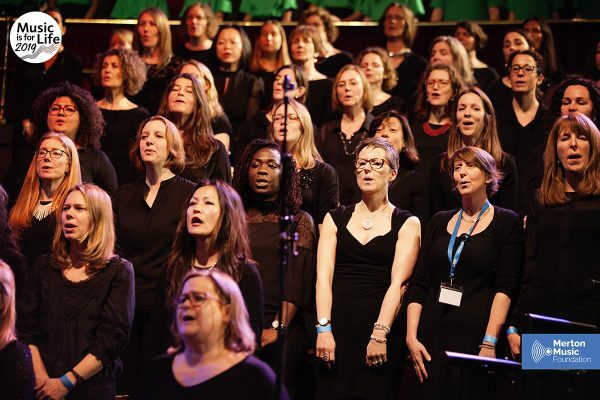 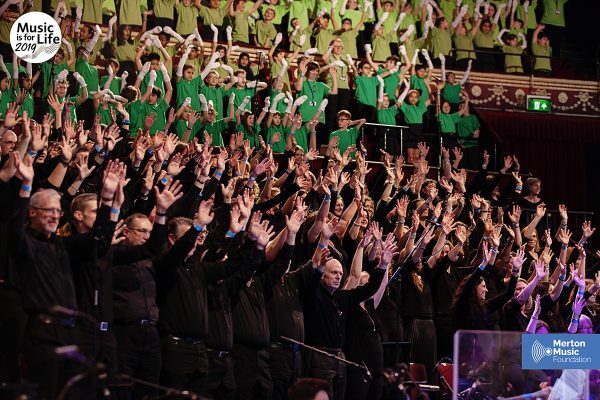 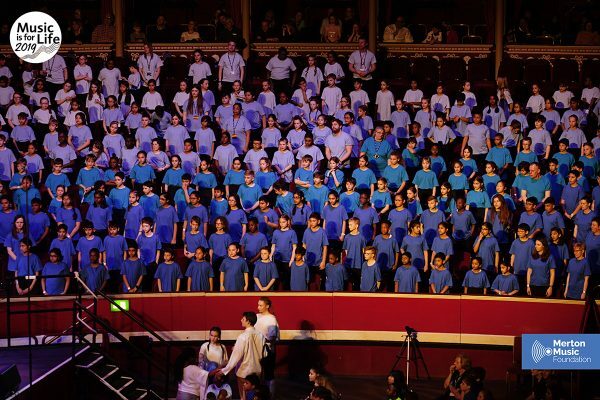 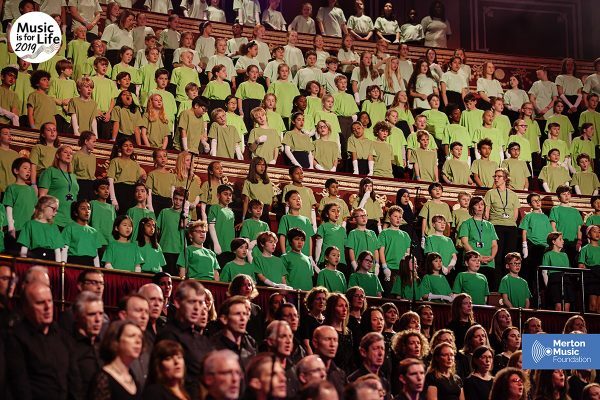 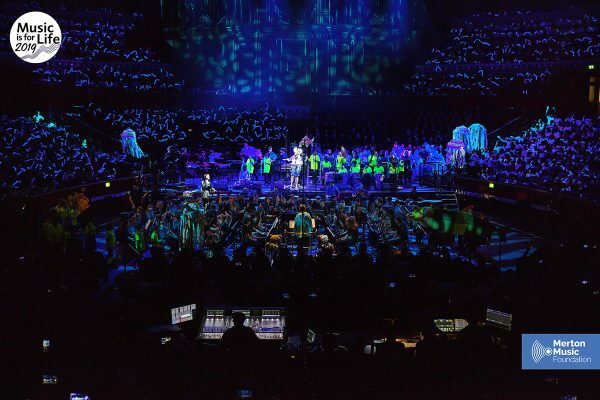 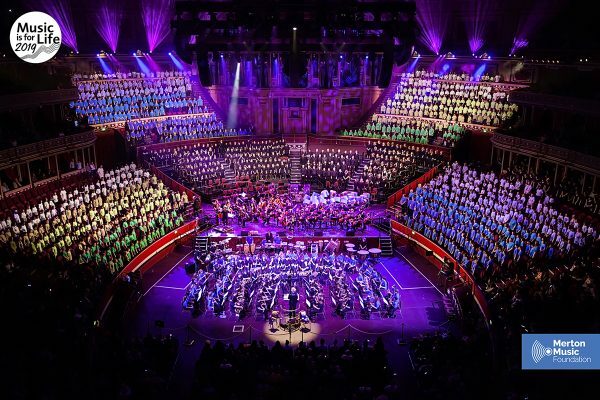 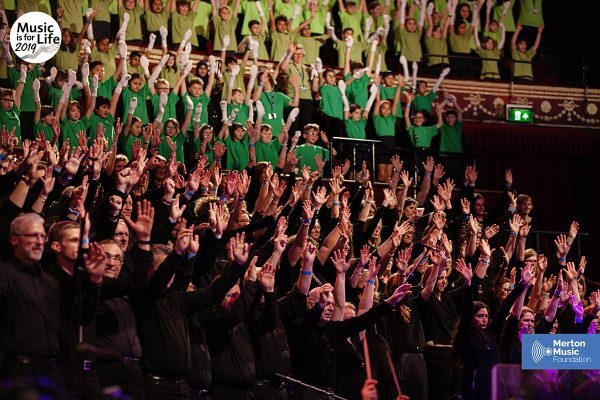 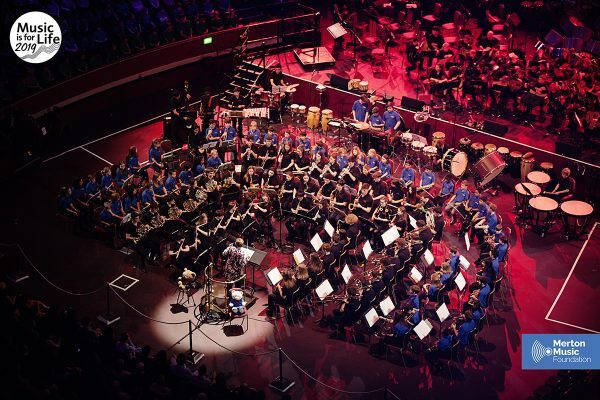 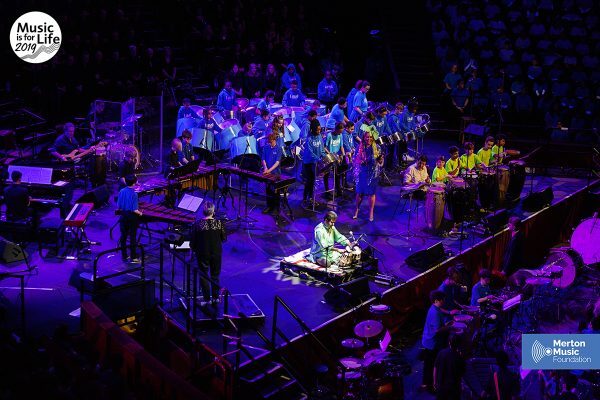 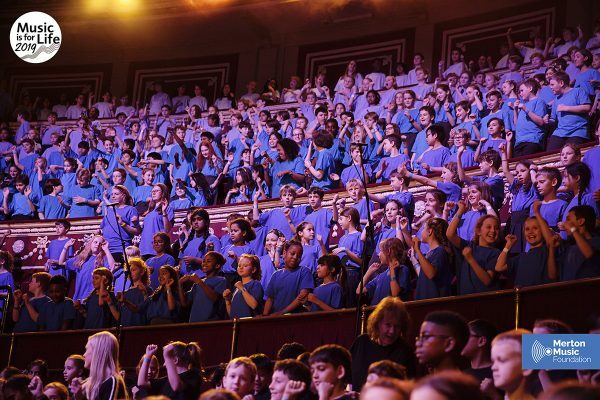 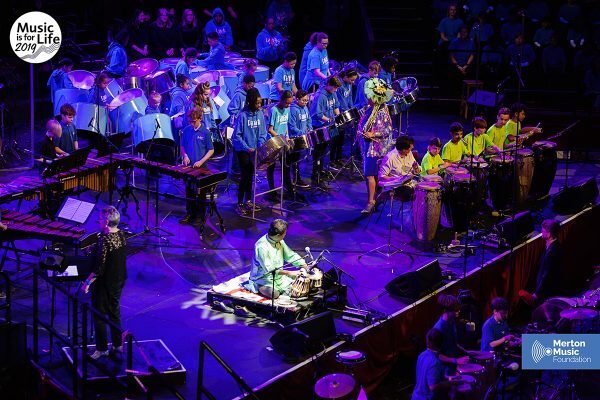 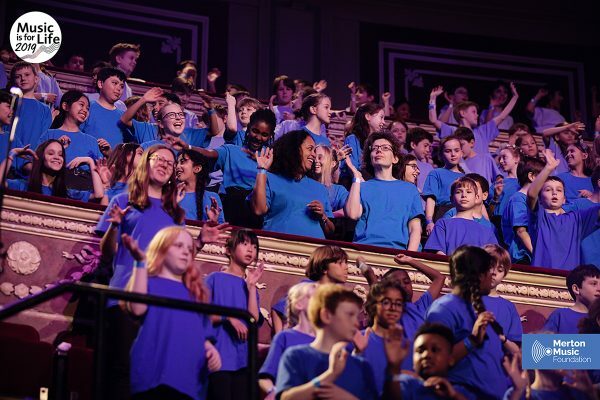 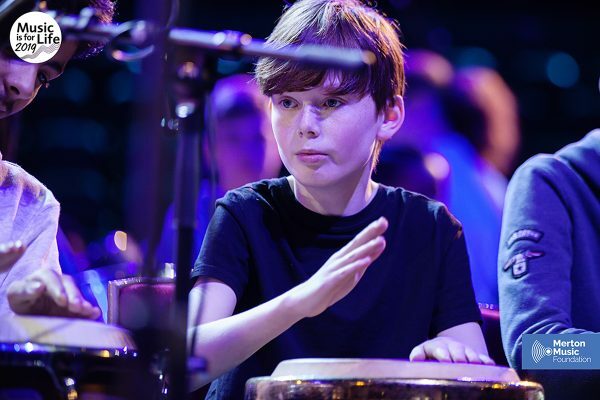 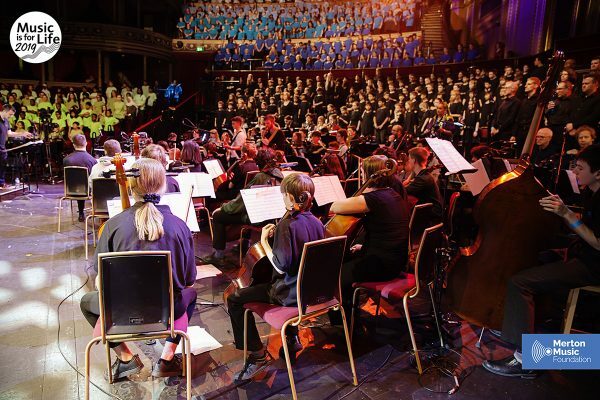 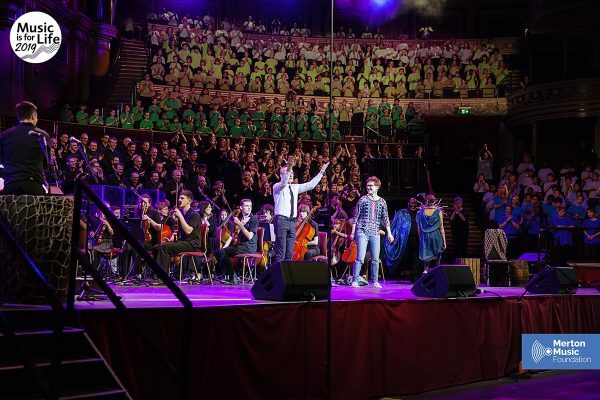 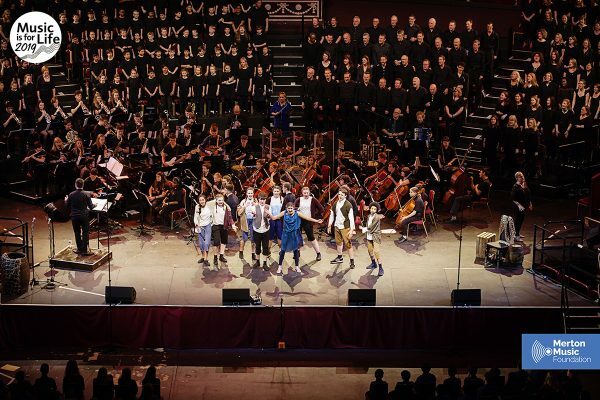 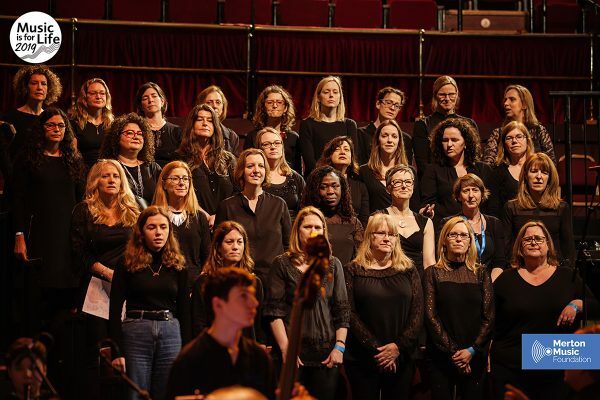 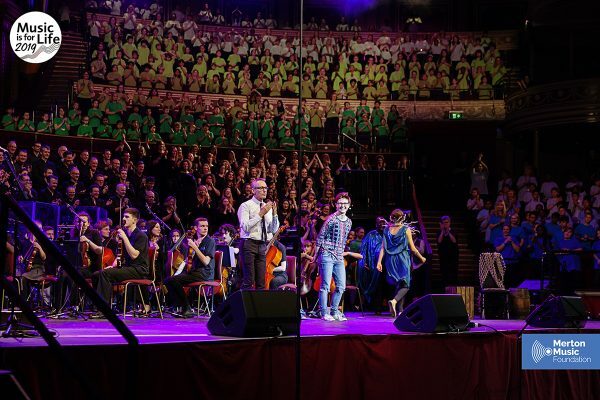 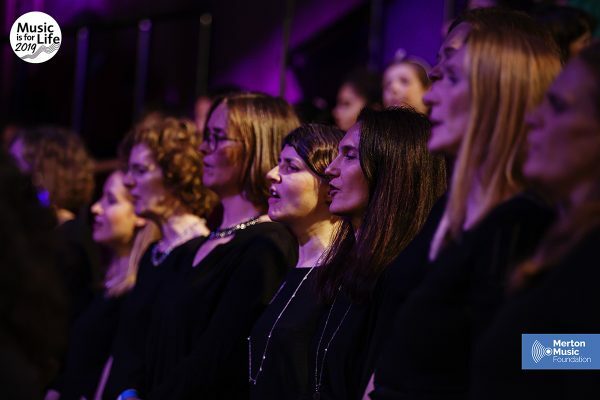 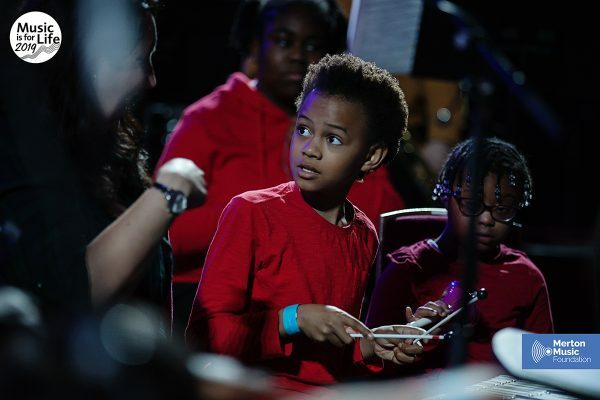 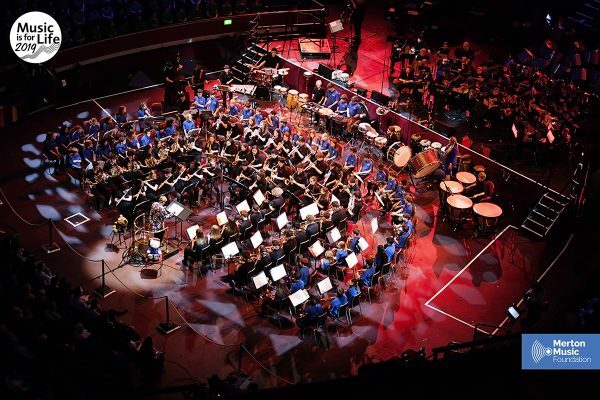 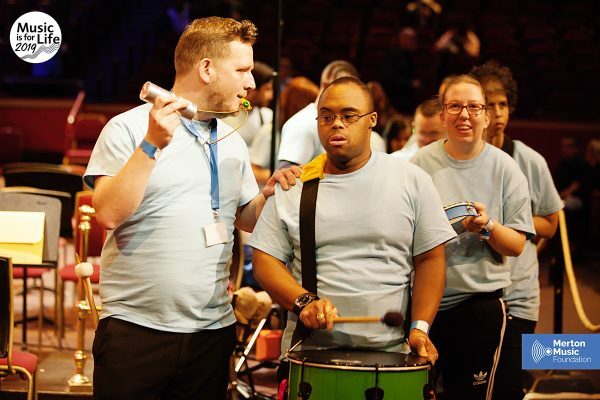 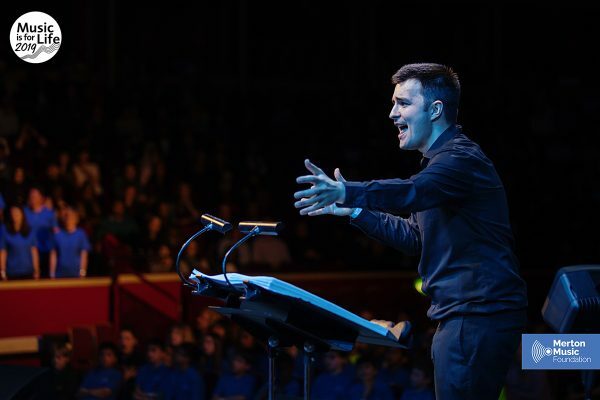 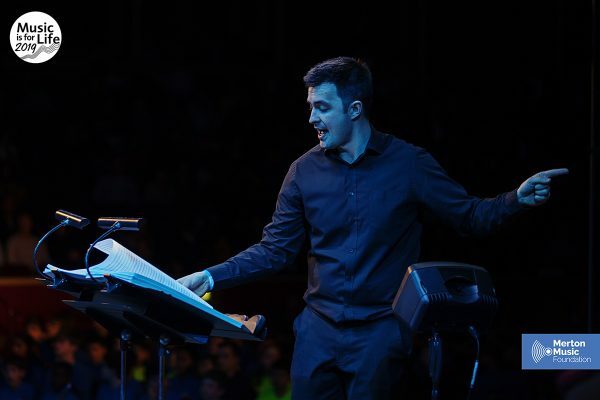 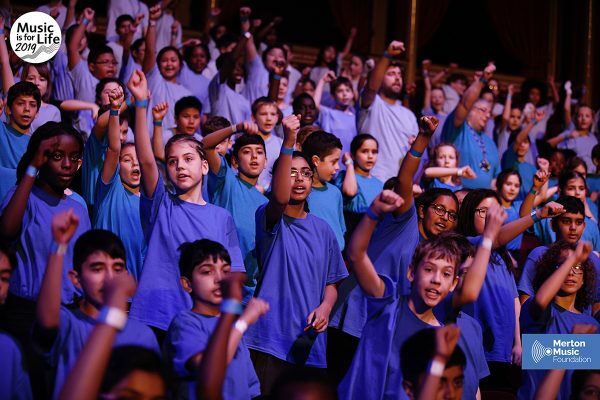 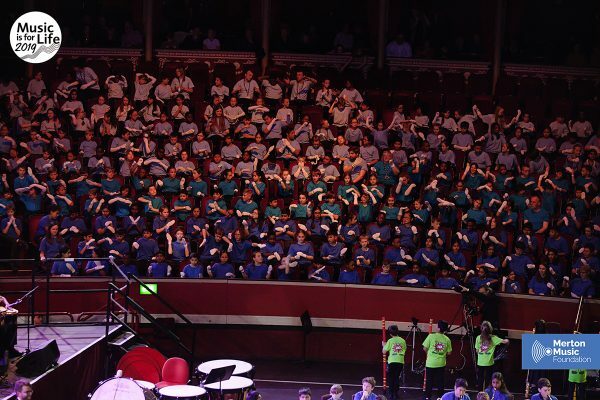 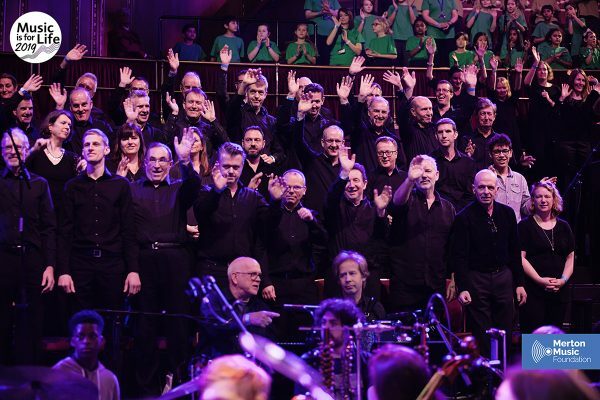 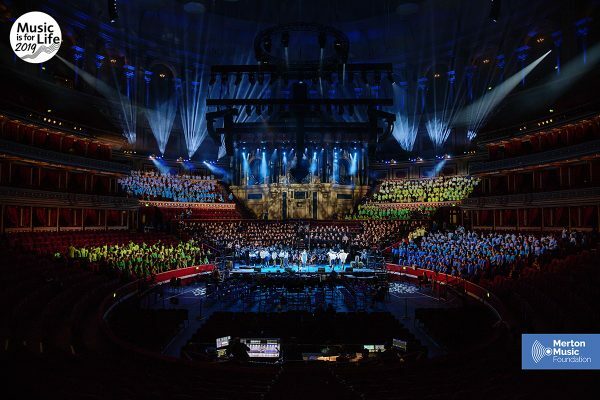 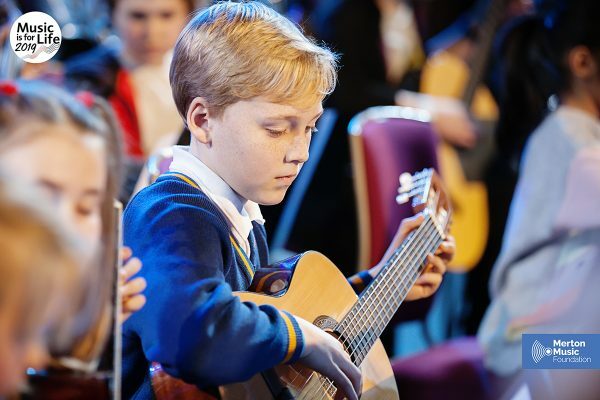 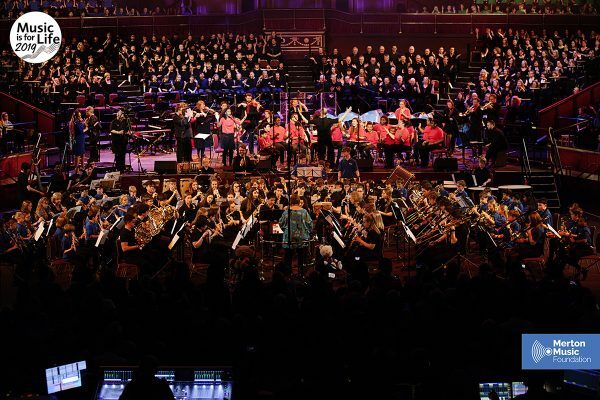 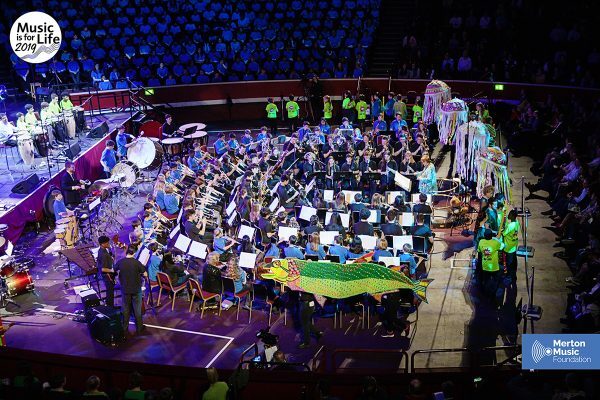 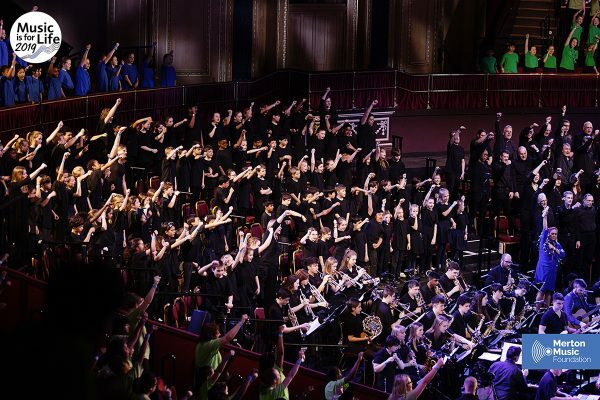 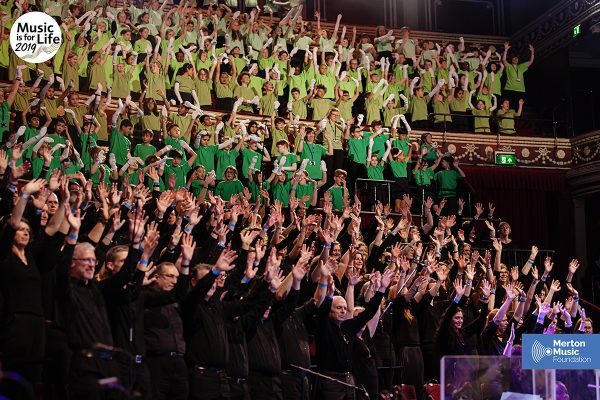 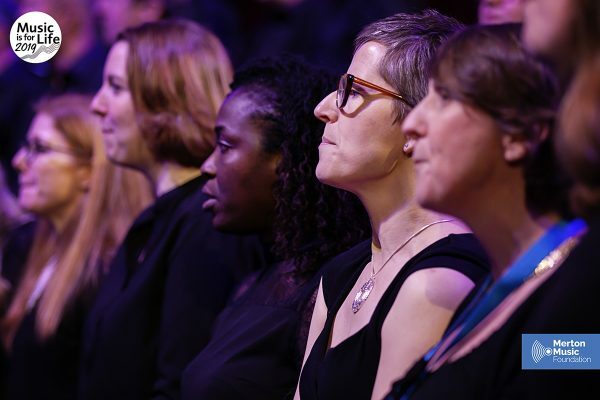 Congratulations and thanks to everyone who took part in our Music is for Life concert at the Royal Albert Hall. 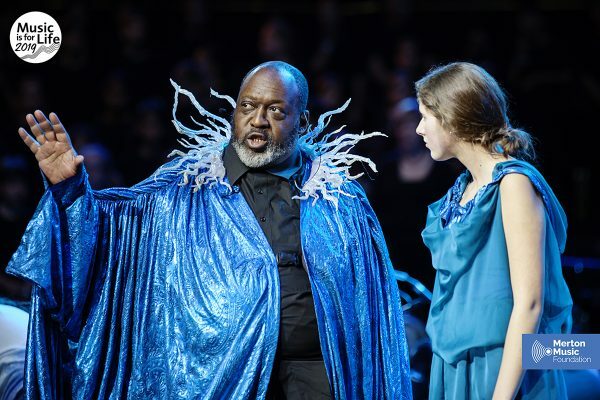 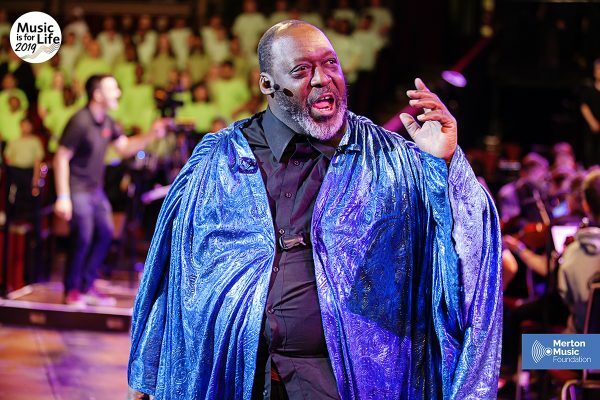 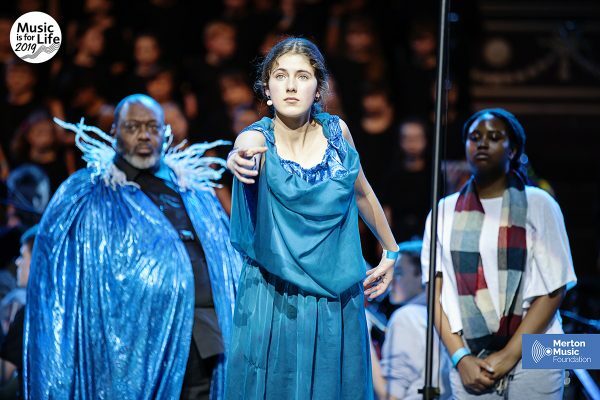 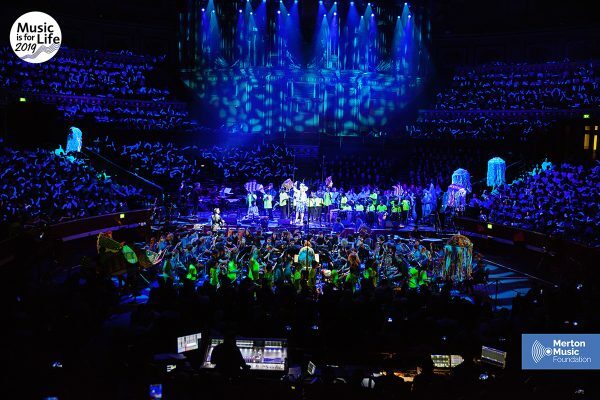 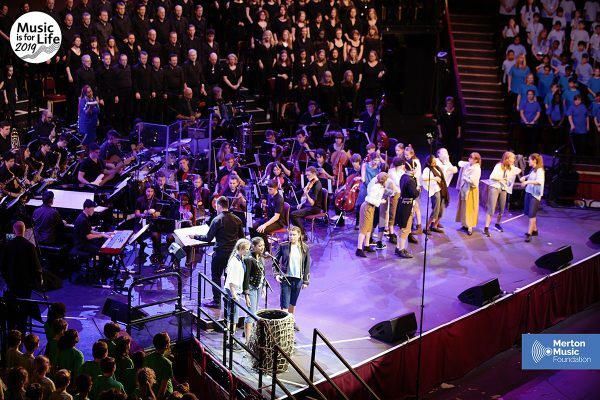 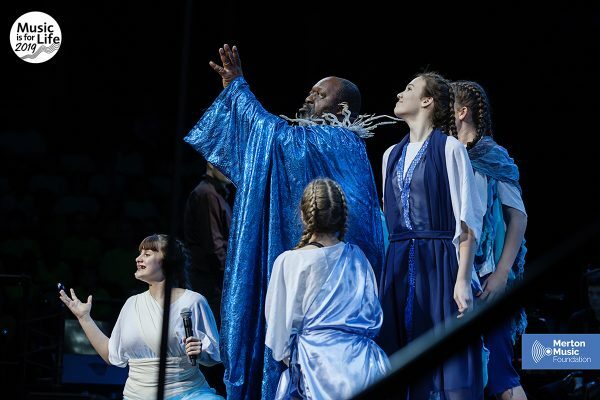 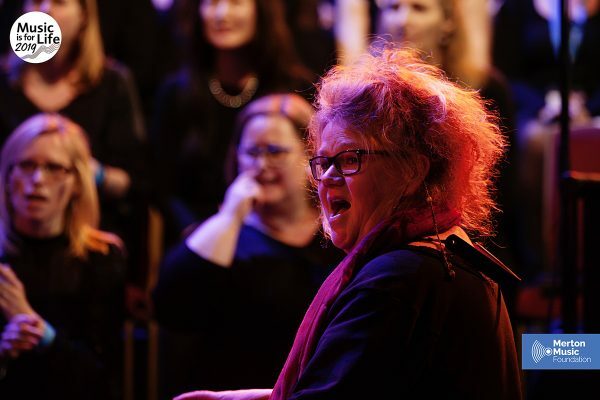 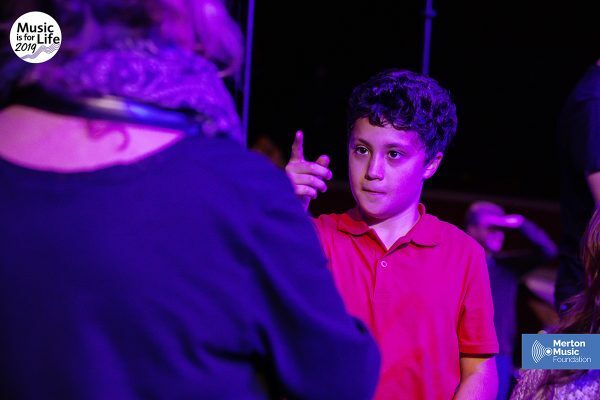 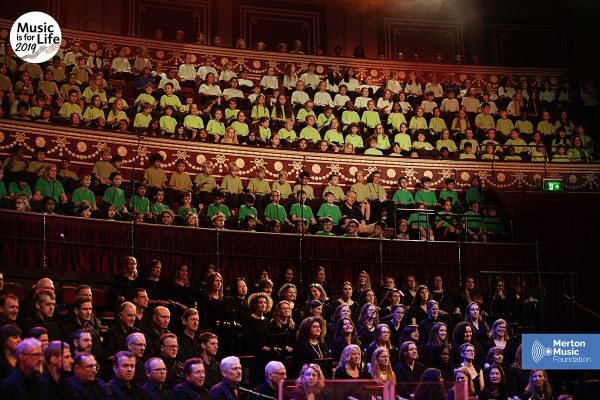 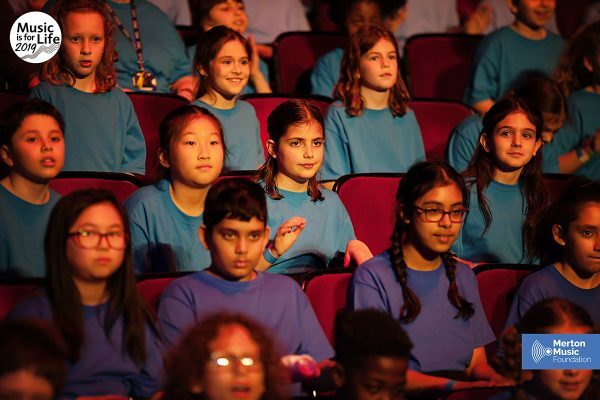 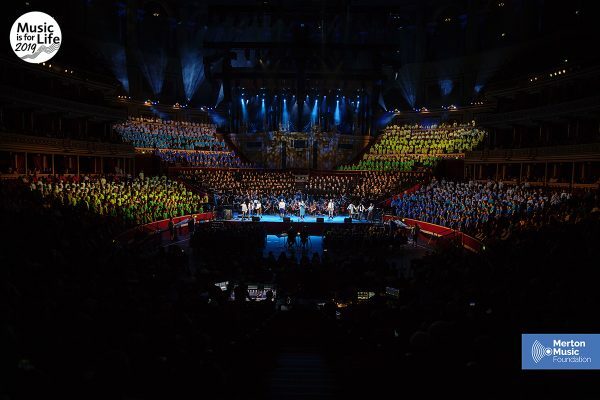 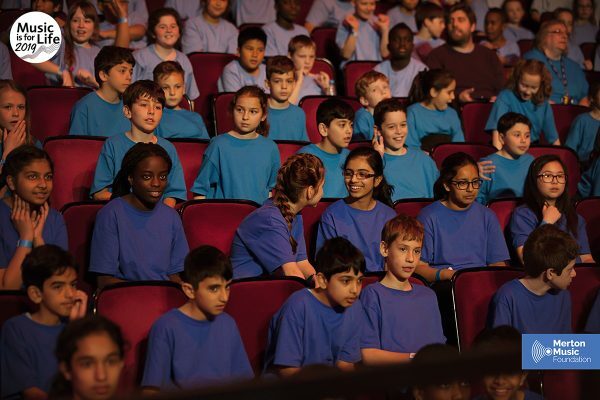 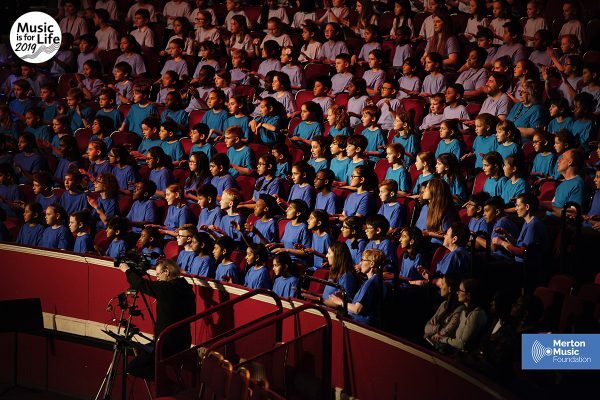 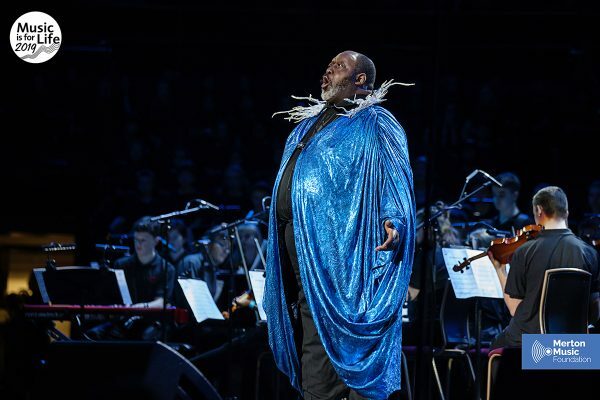 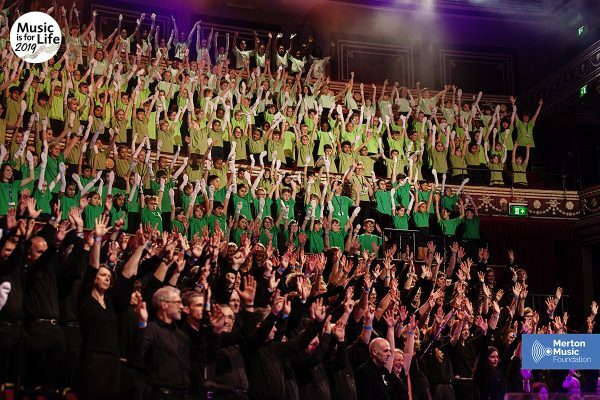 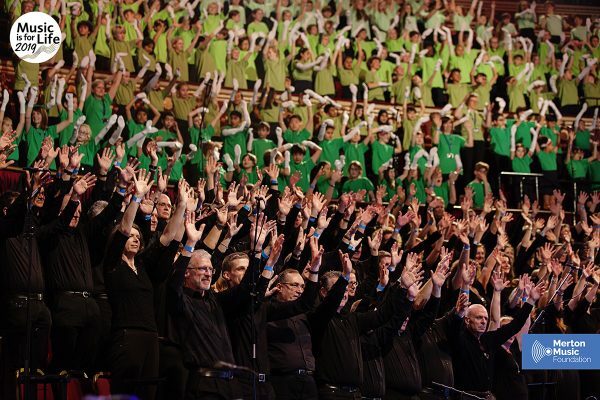 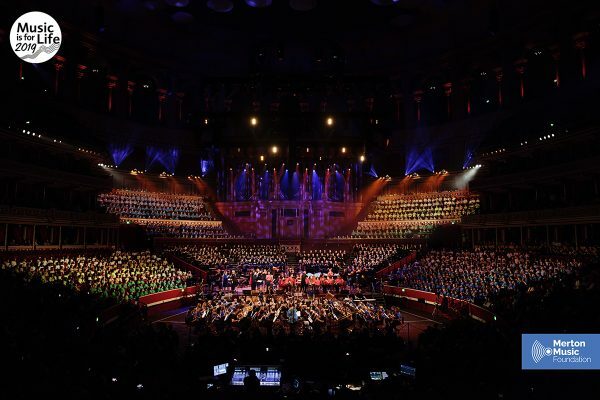 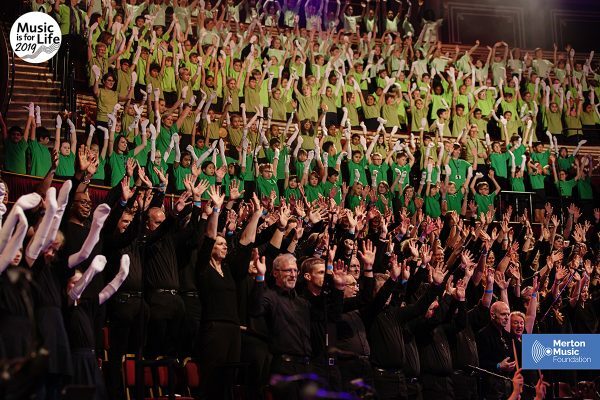 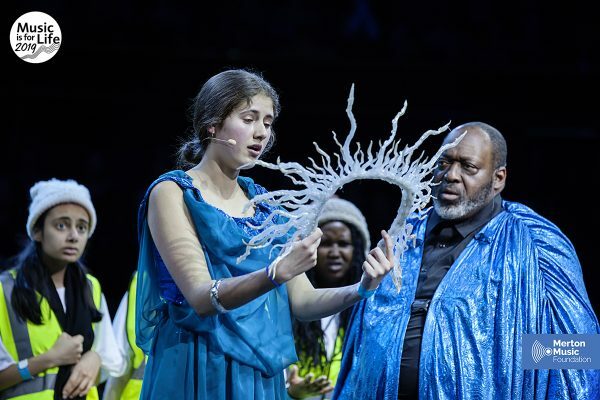 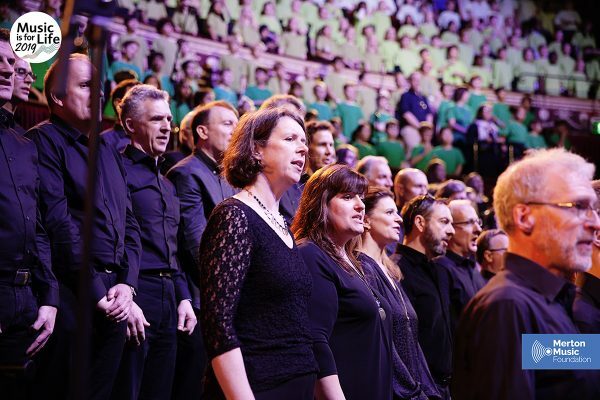 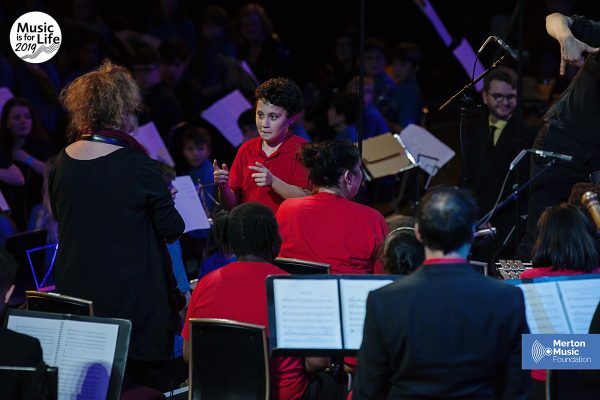 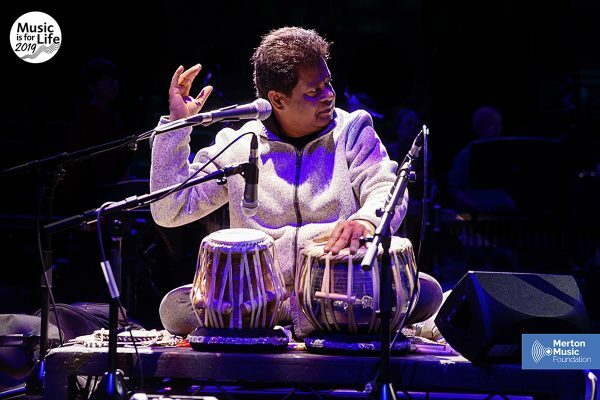 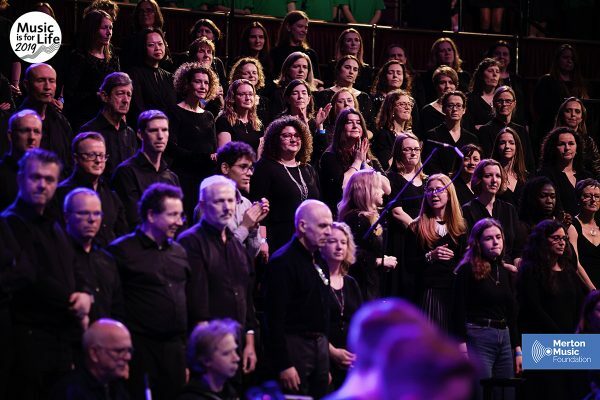 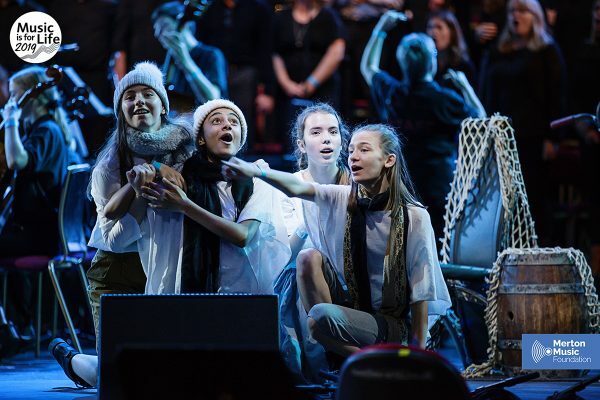 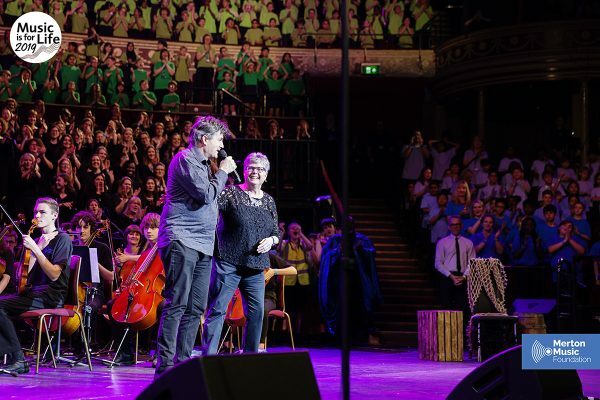 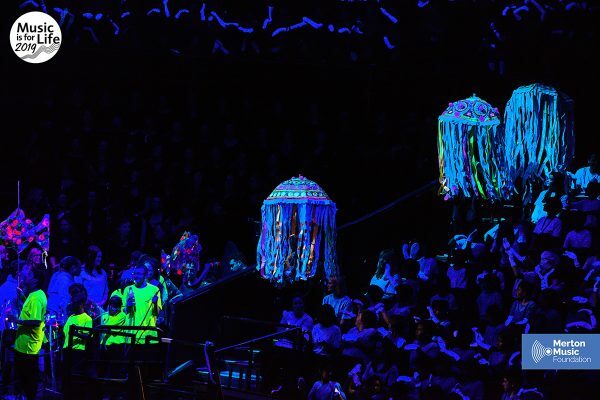 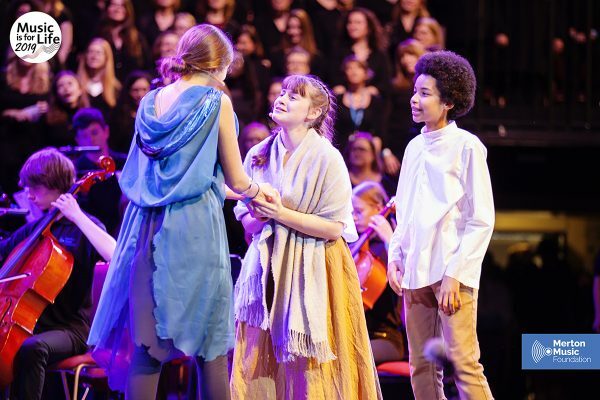 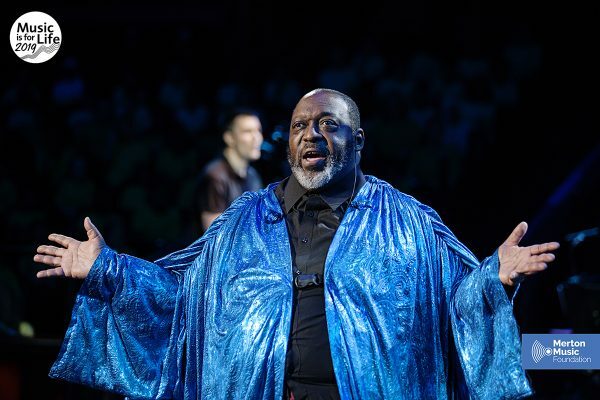 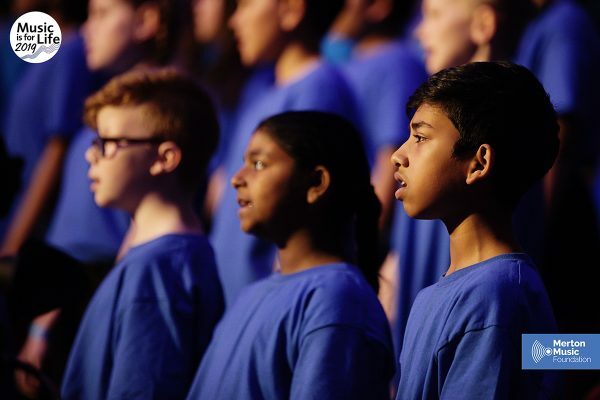 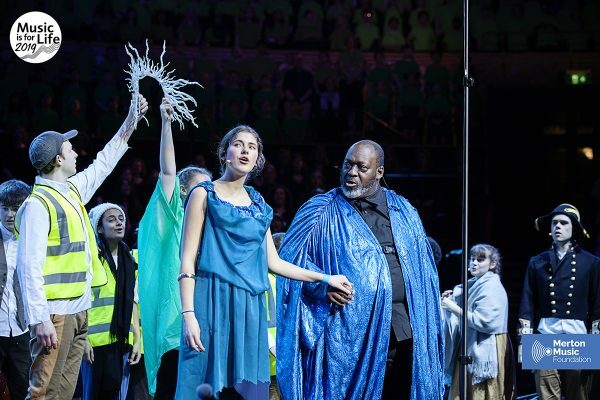 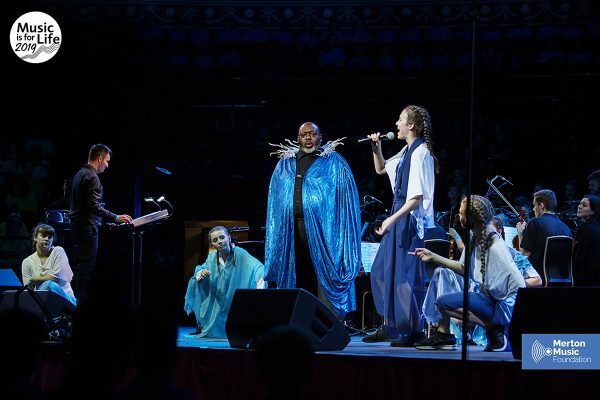 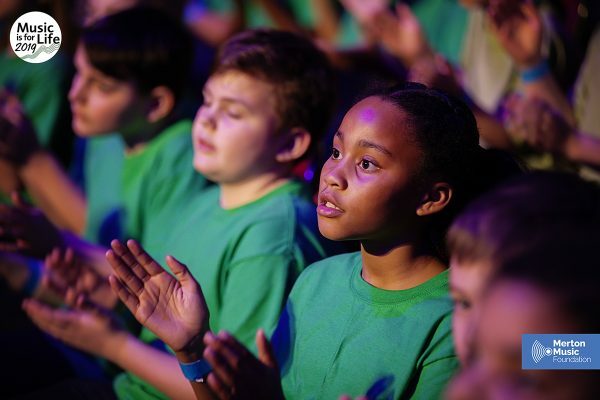 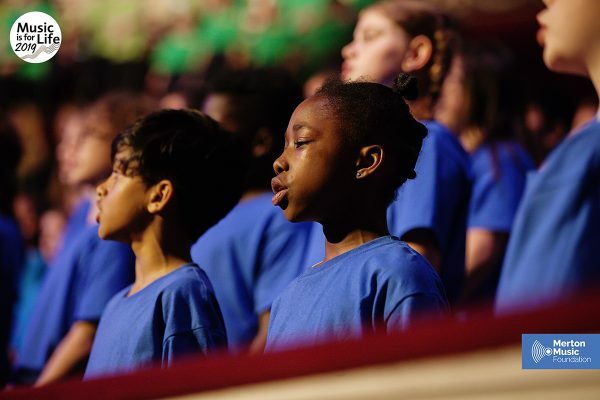 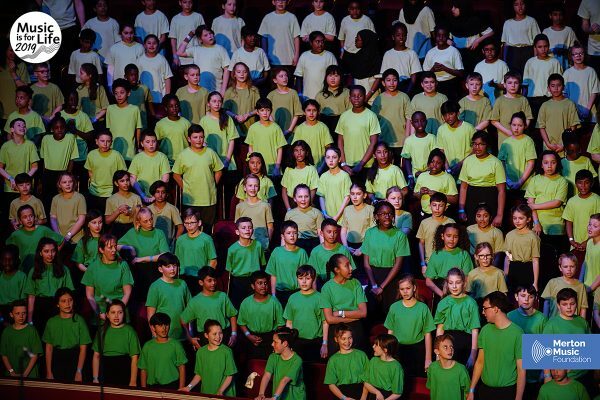 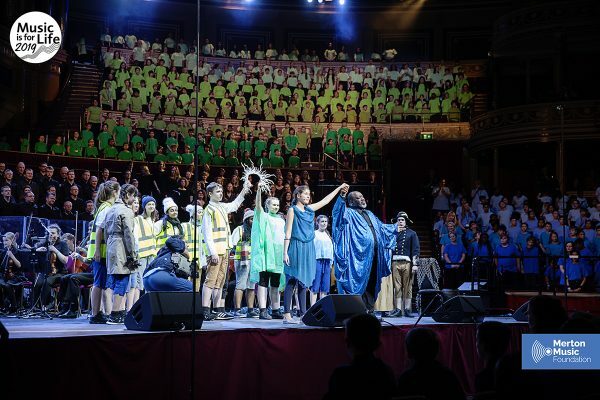 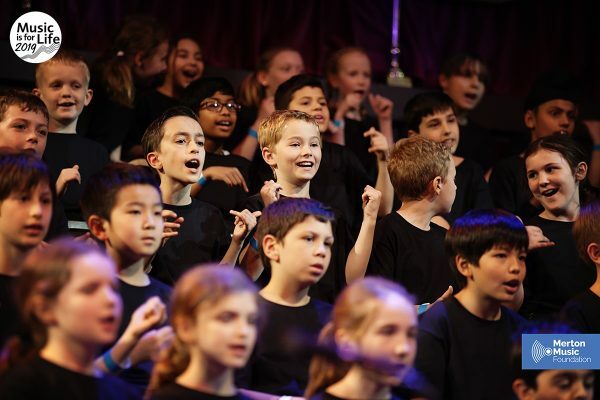 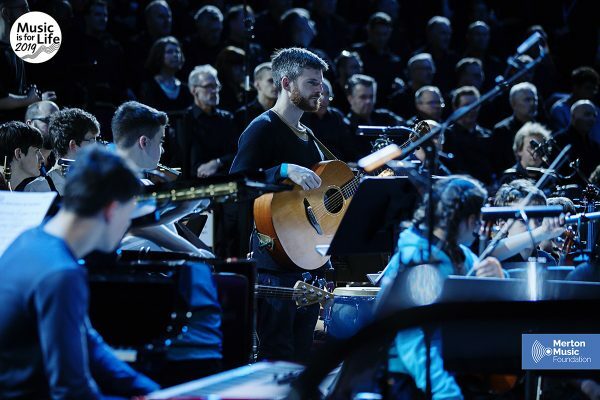 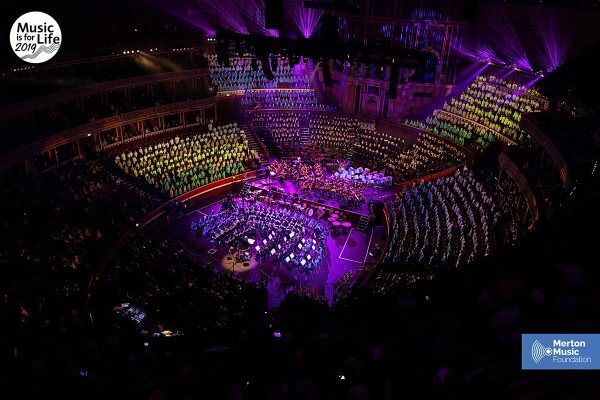 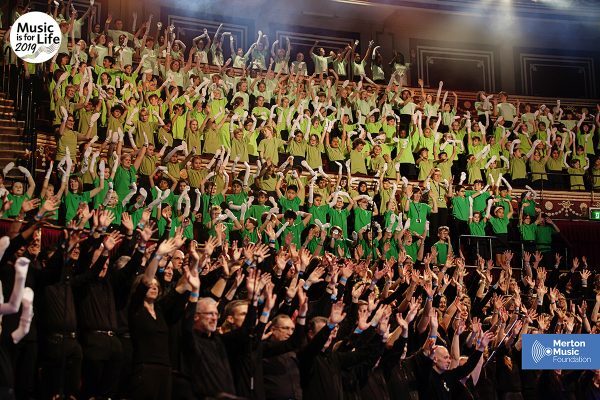 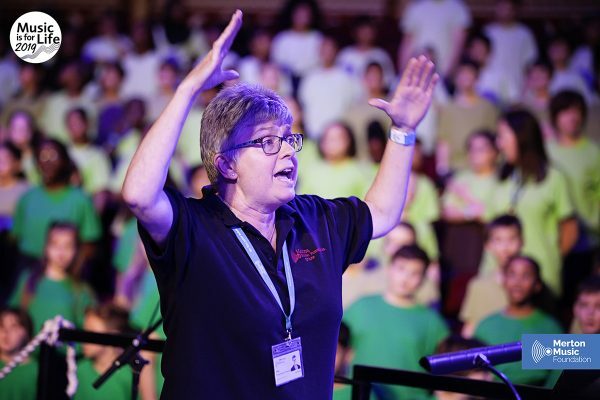 The energy of 1,500 singers, instrumentalists and actors from Merton was truly breathtaking. 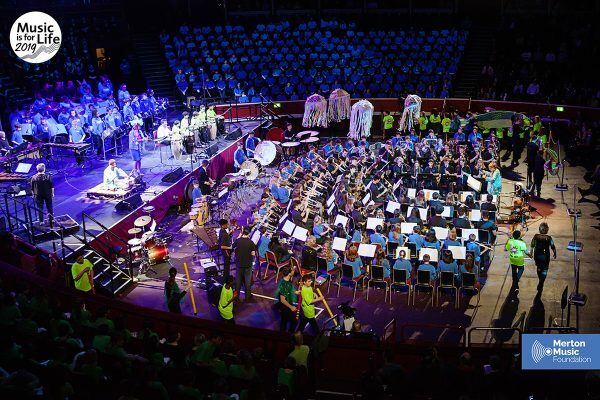 There were so many highlights including the Merton Youth Concert Band’s performance of Bohemian Rhapsody and the Massed Concert Band’s Mary Poppins medley, the Massed Guitar Ensemble’s fantastic storm, the superb Rhythm of Rivers massed percussion piece (complete with giant jellyfish) written by Tony Haynes and a stunning performance from Cricket Green School and the Orchestra of the Age of Enlightenment. 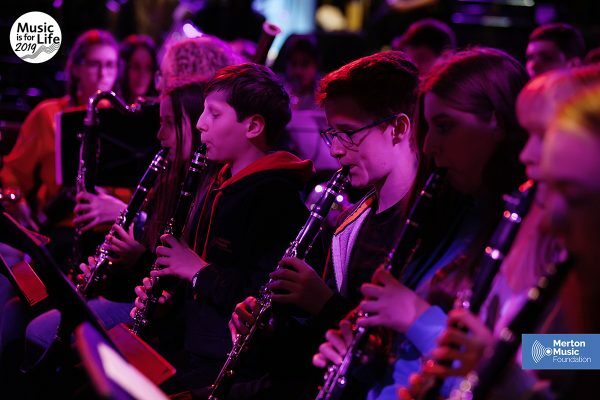 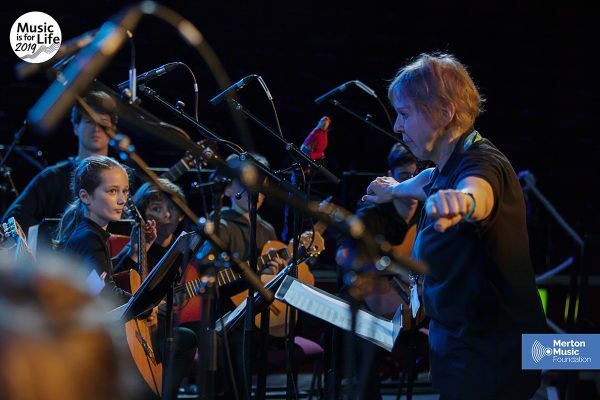 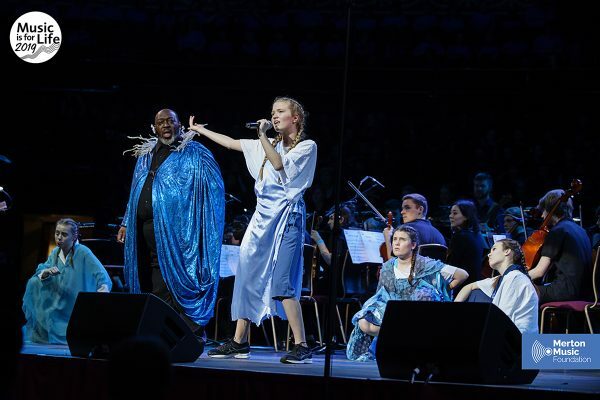 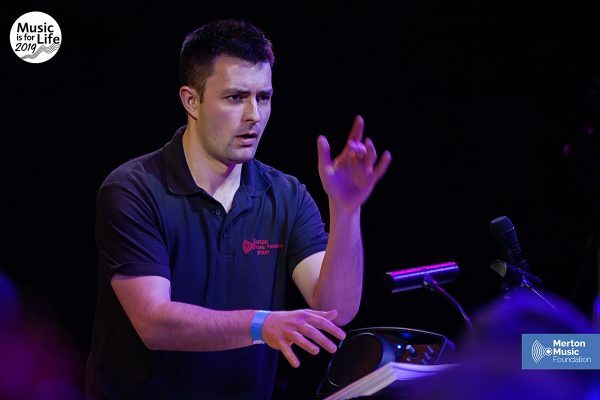 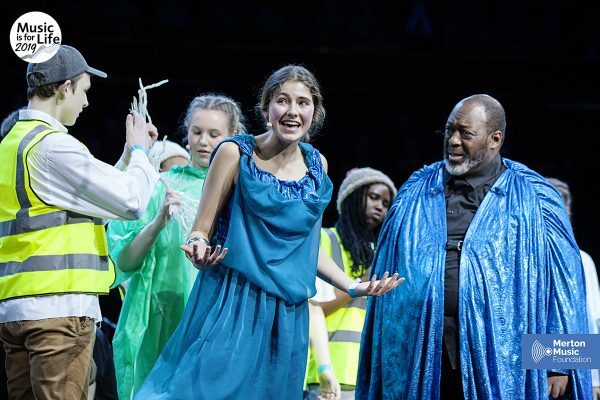 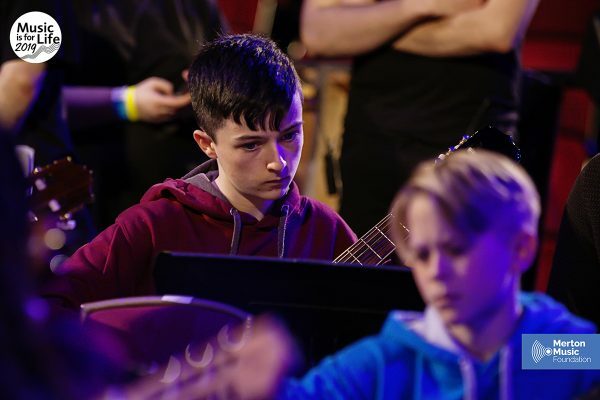 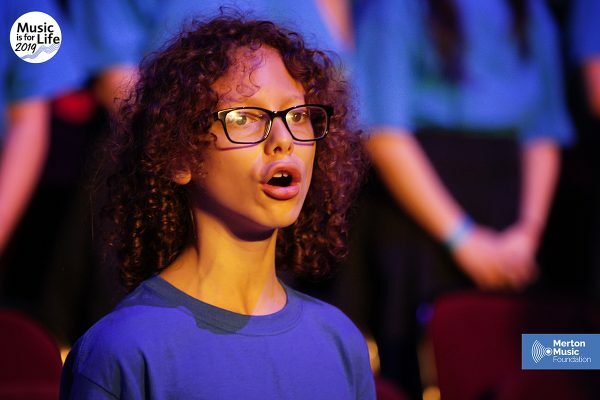 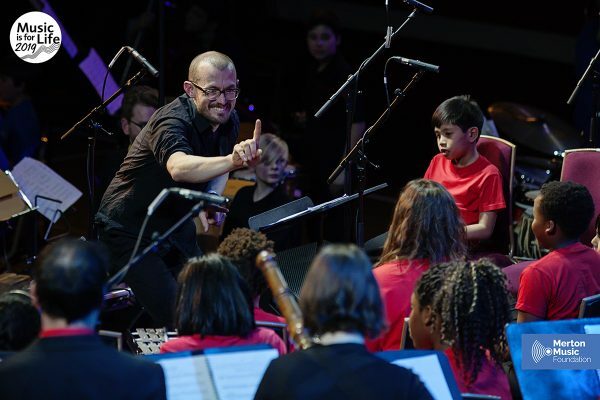 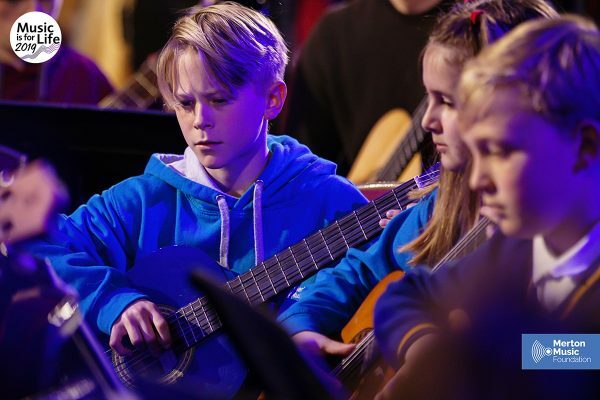 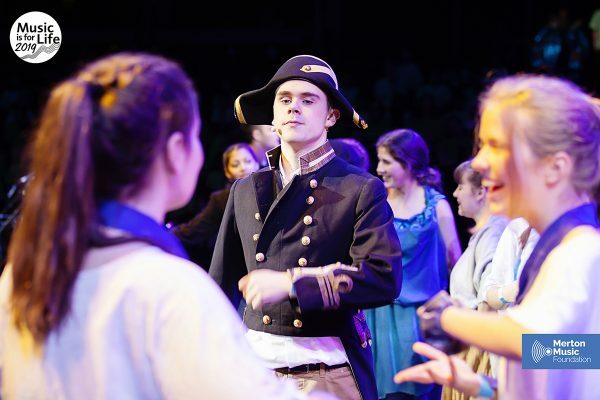 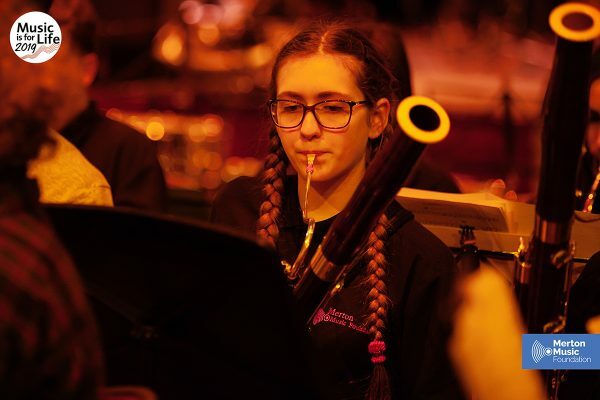 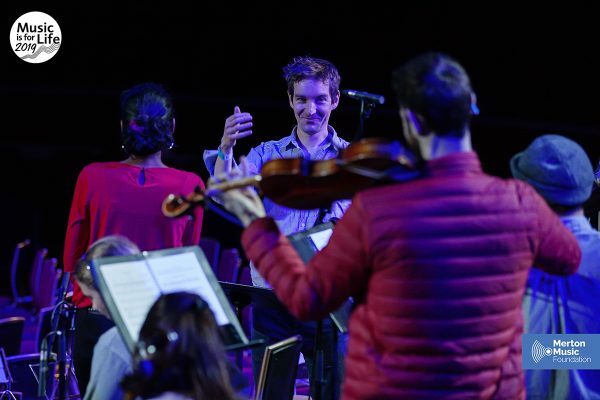 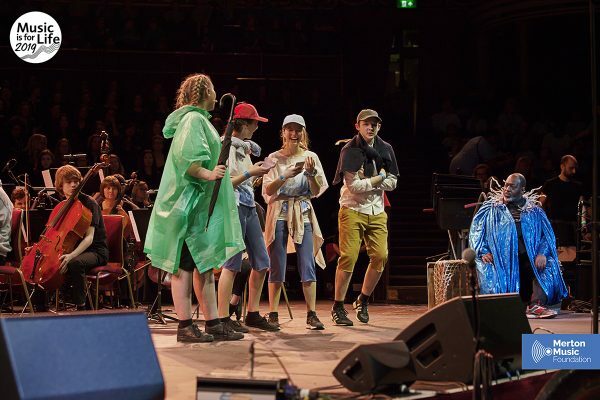 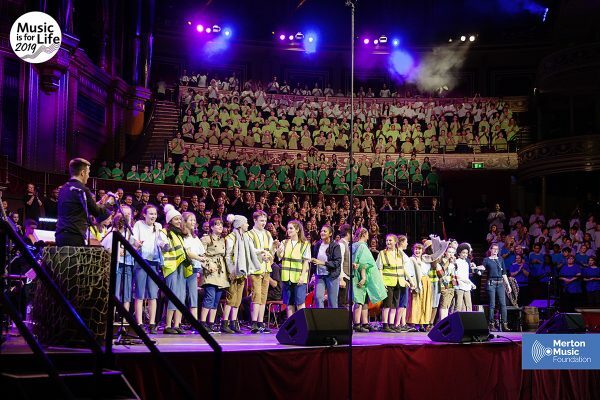 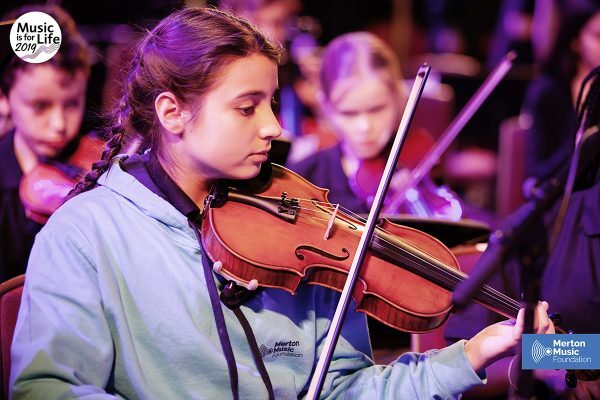 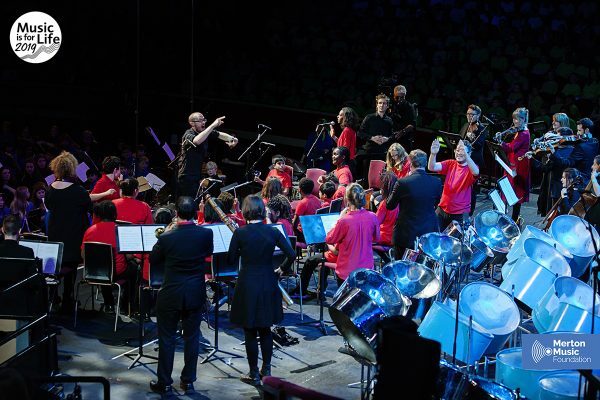 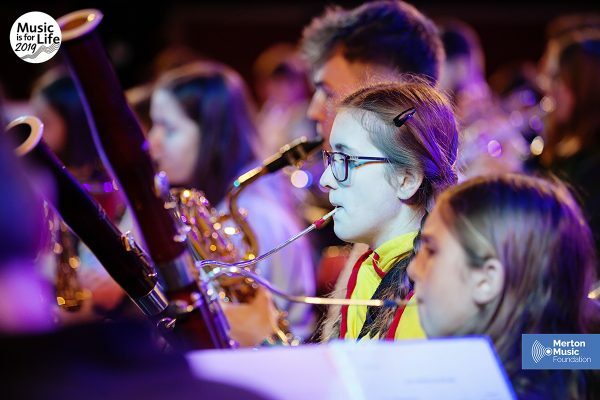 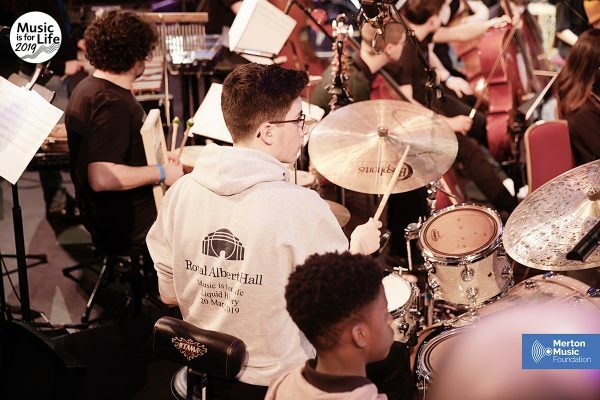 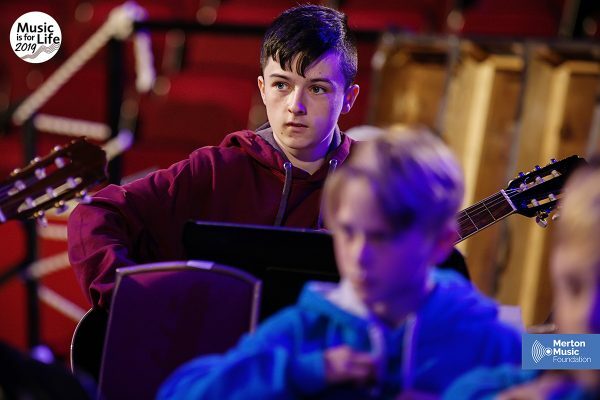 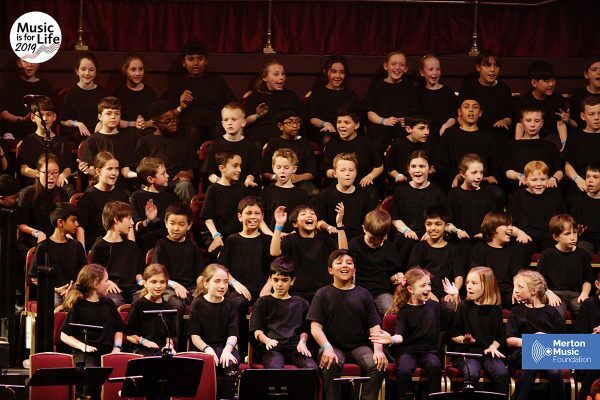 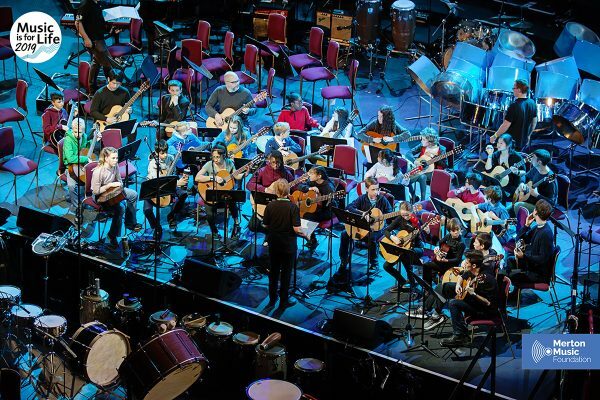 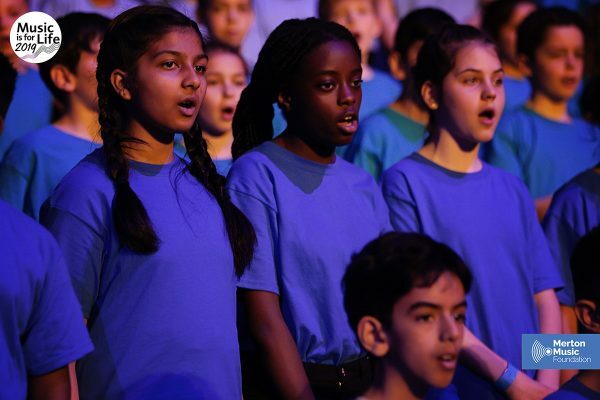 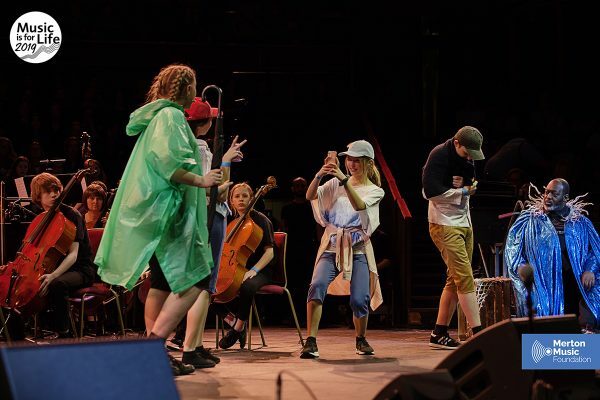 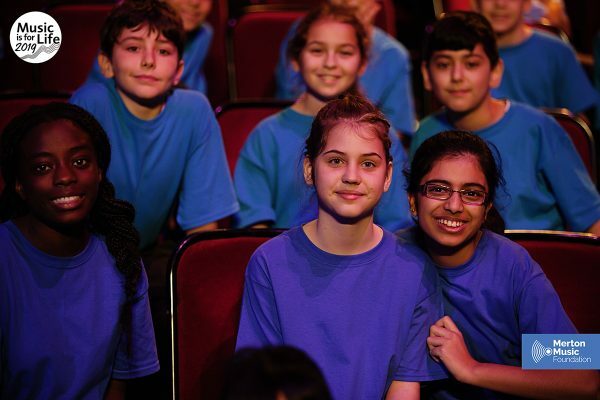 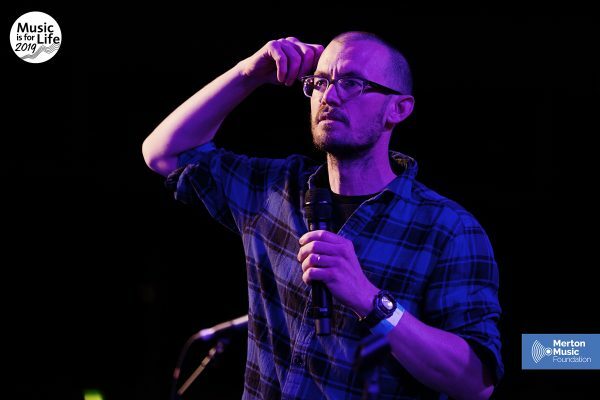 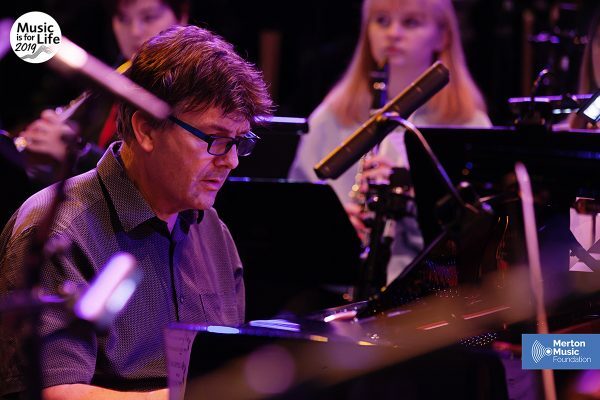 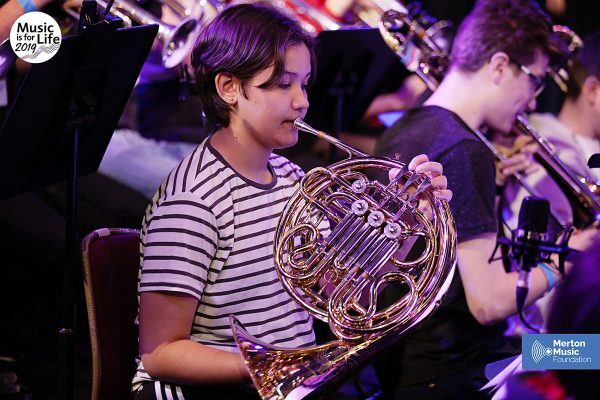 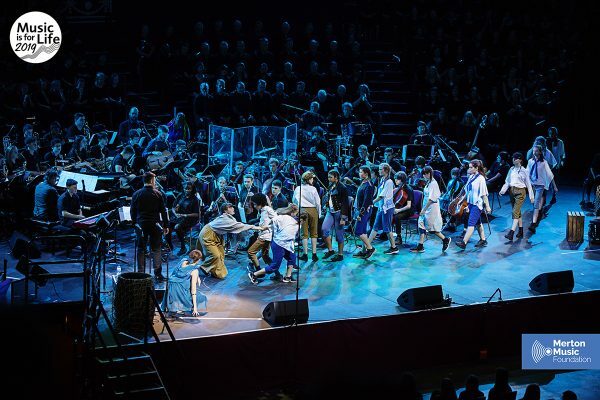 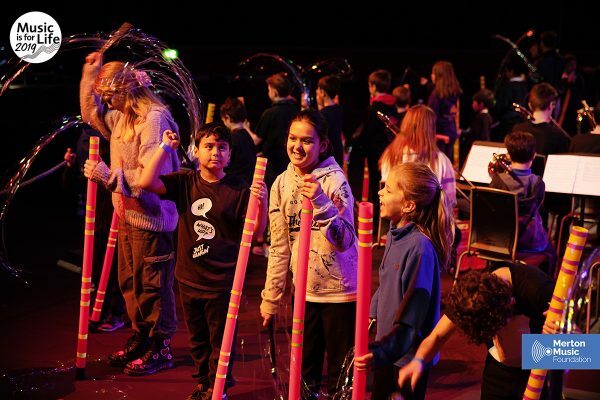 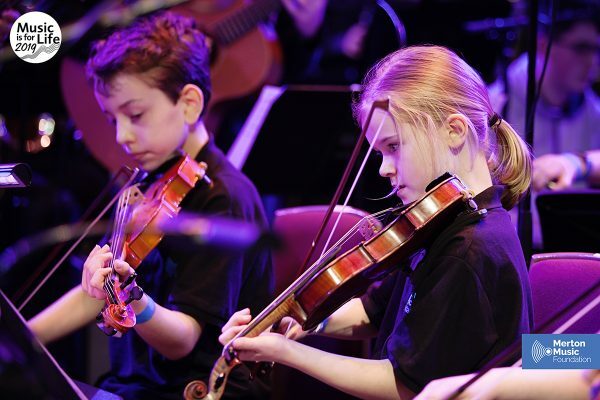 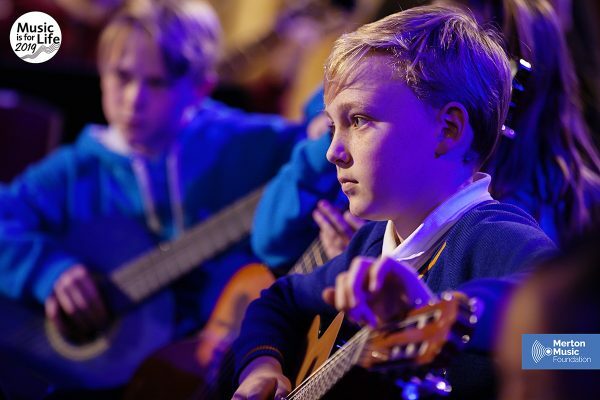 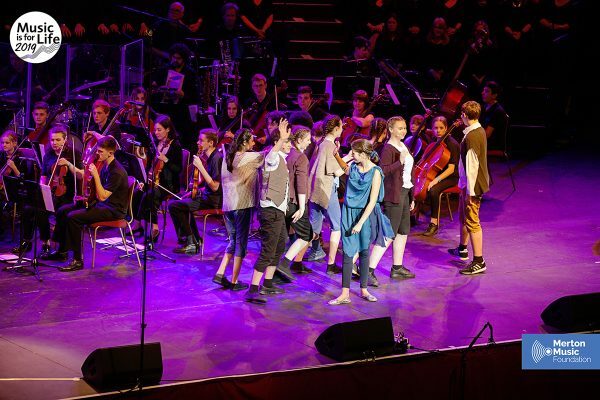 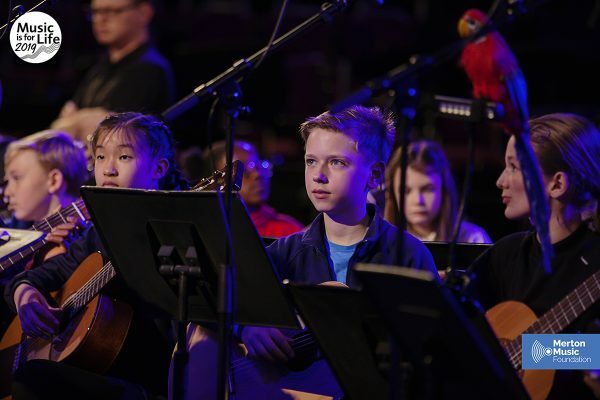 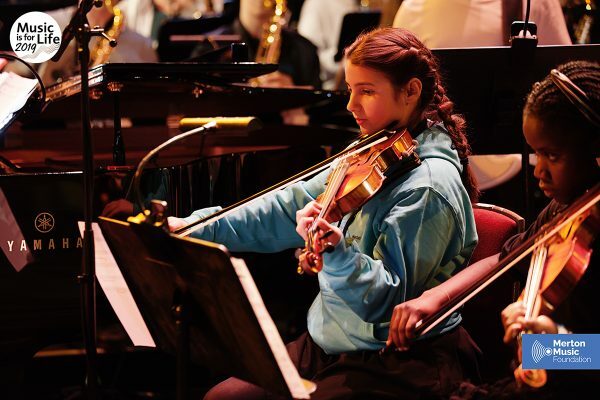 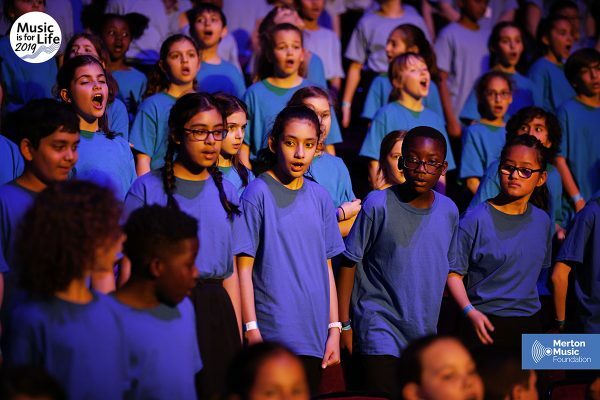 The concert finished with the marvellous Thames Tales, featuring MYJO and String Sinfonia accompanying singers from 19 Merton schools performing songs composed by Adam Saunders and Pete Churchill with actors from the Wimbledon Civic Theatre Trust, guest vocalist Keel Watson. 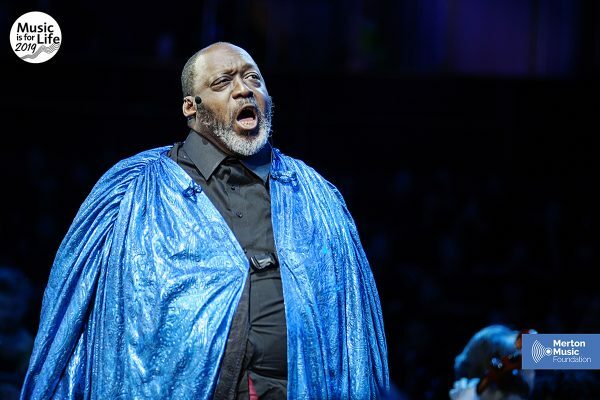 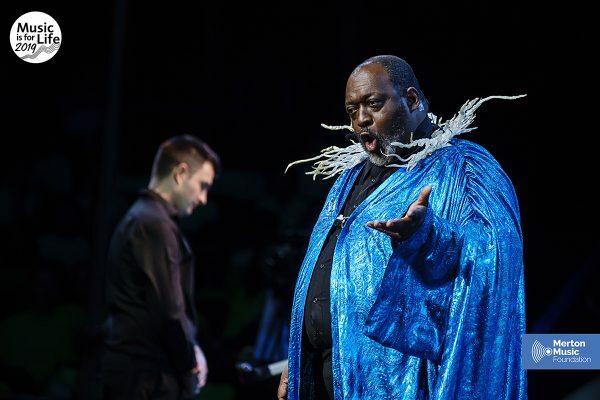 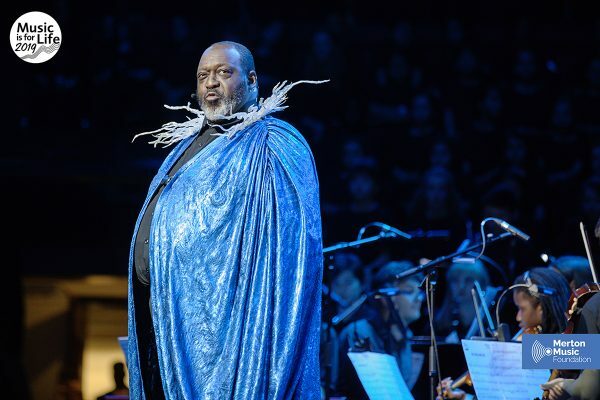 We were delighted that Black Swan Film & Video came to film the concert, and DVDs are available to pre-order now from HERE!